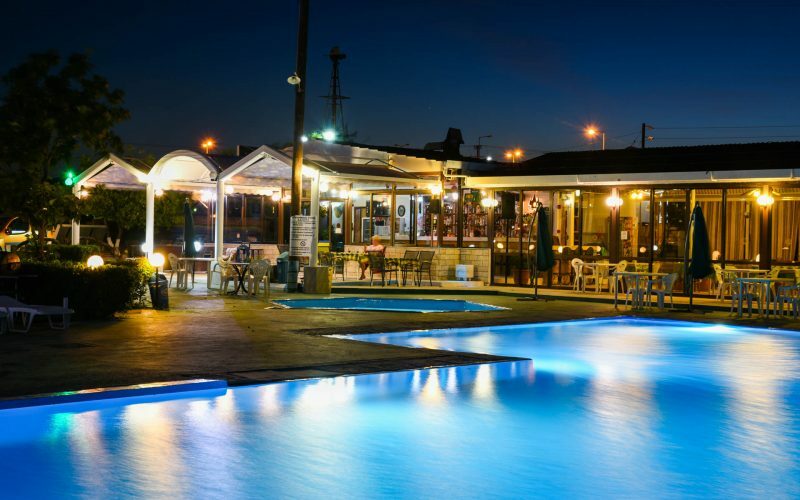 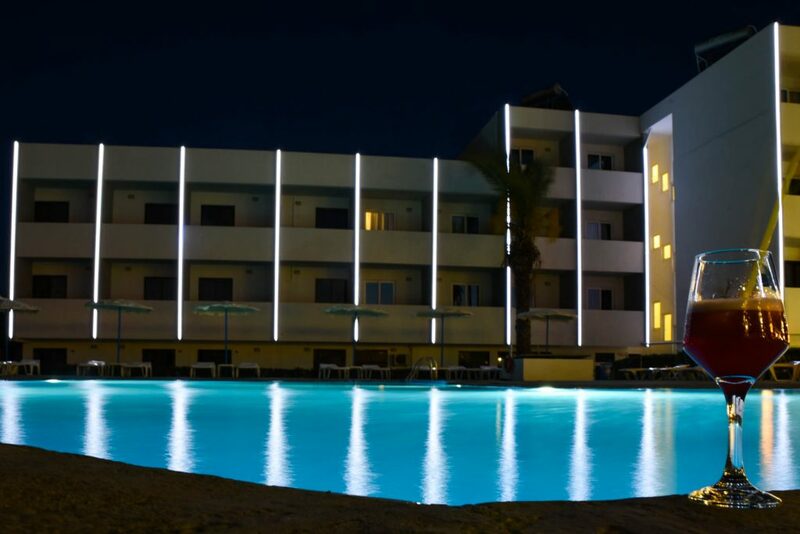 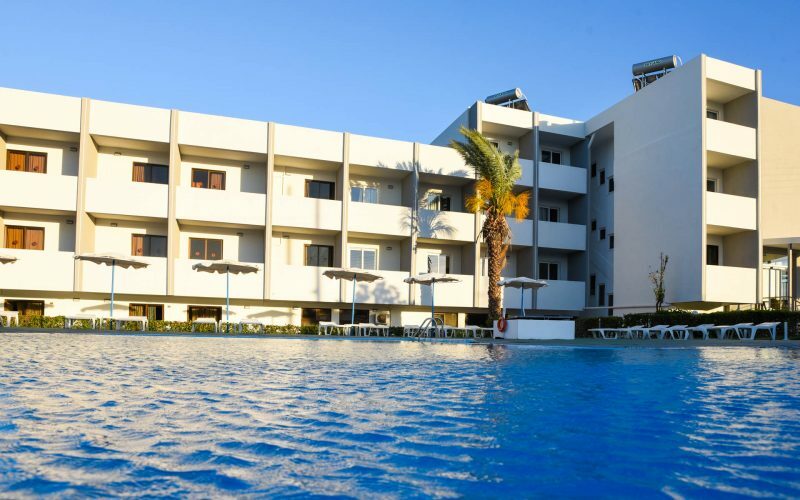 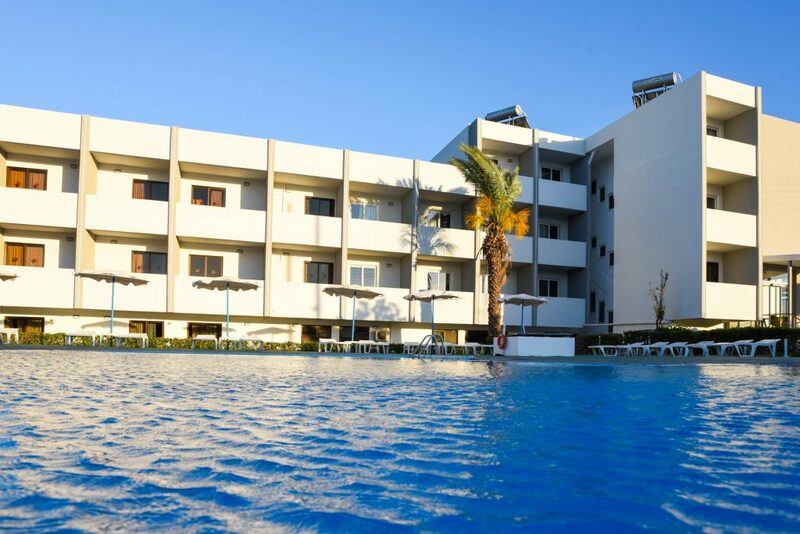 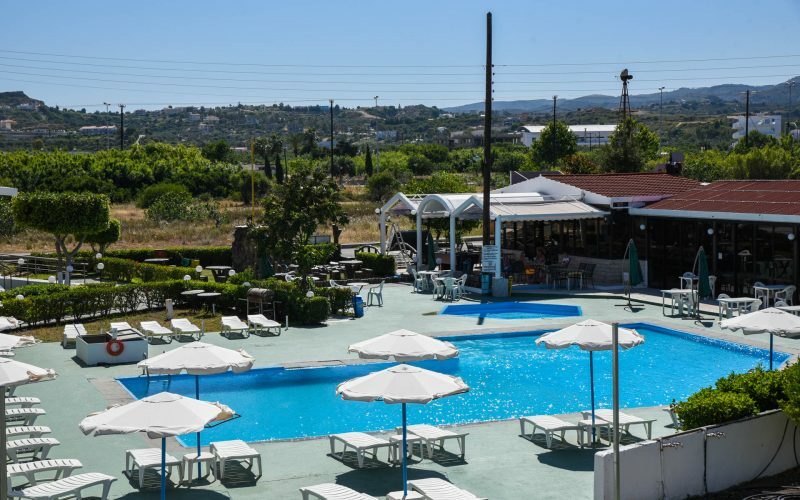 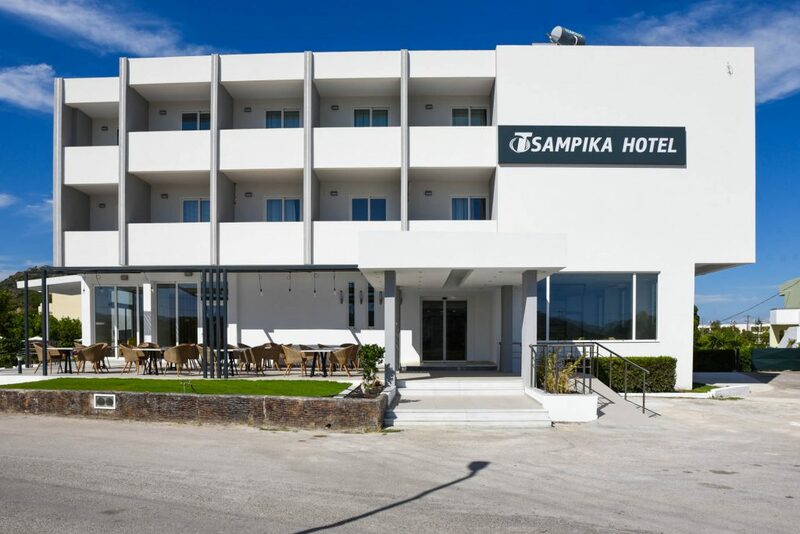 Located 13 kilometers from Rhodes Town and only 5 minute away from the center of Faliraki, you find Tsampika Hotel. 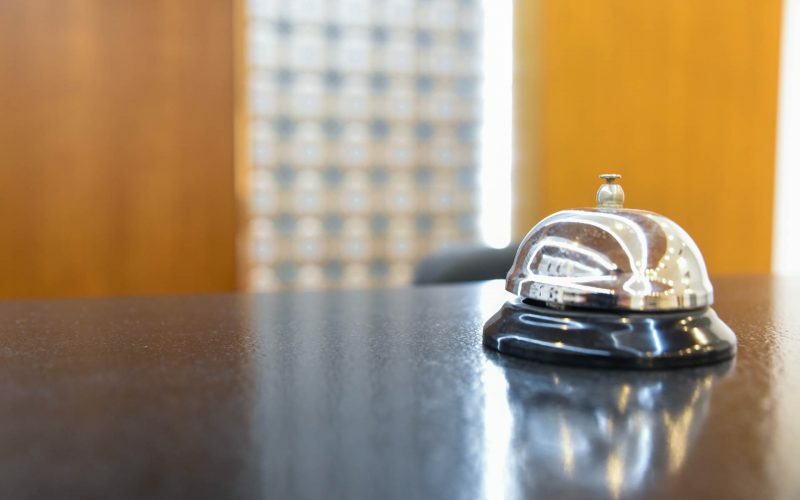 With decades of experience in the tourism industry, we successfully accommodate visitors from around the world. 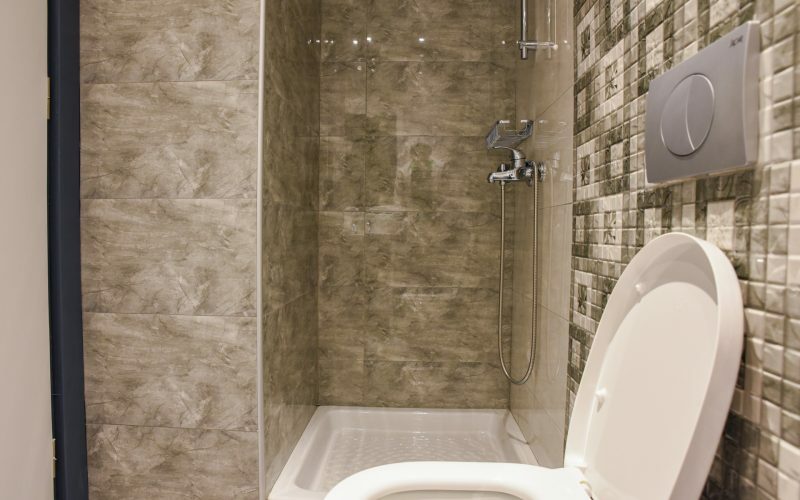 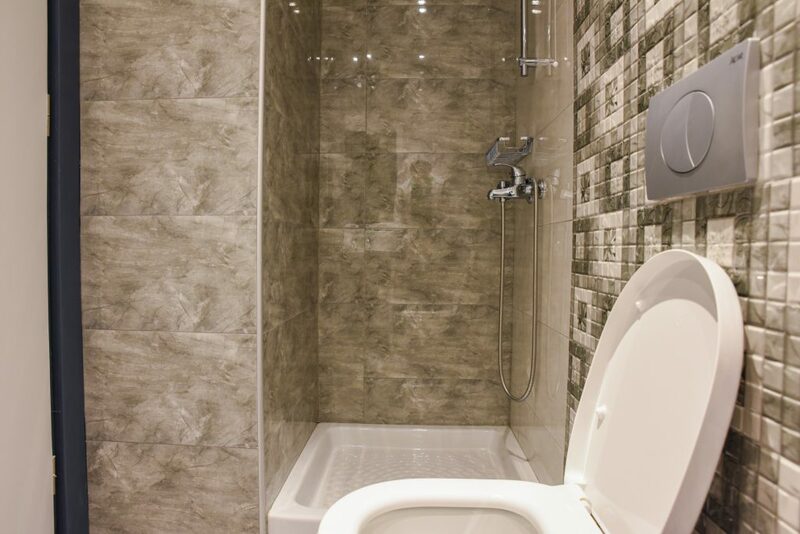 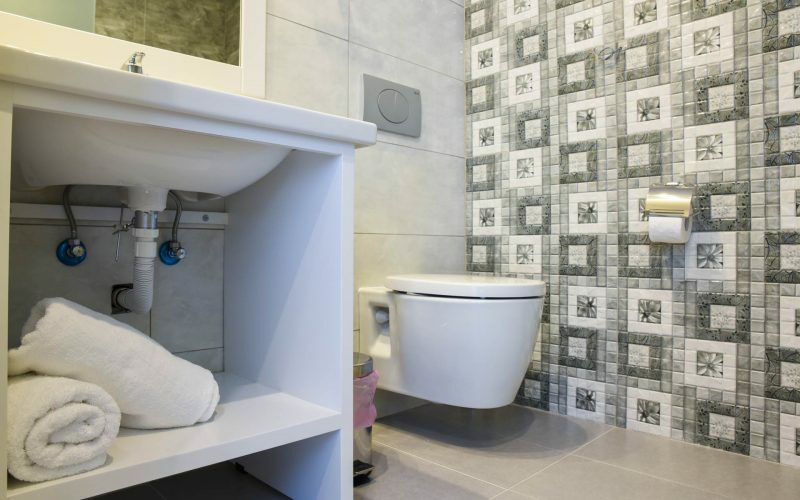 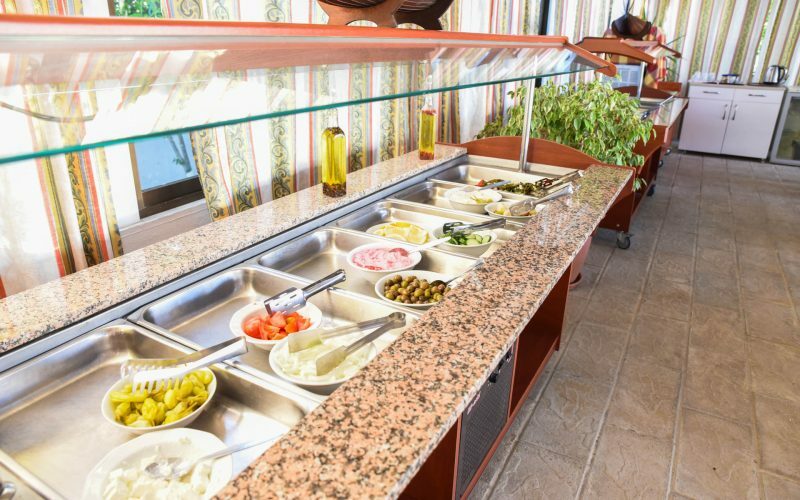 Our customers’ satisfaction is our primary goal and we make sure that they get the best from us. 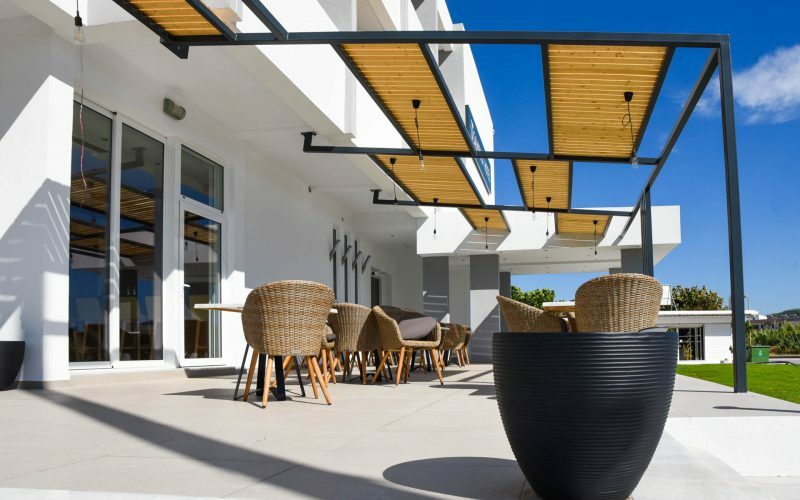 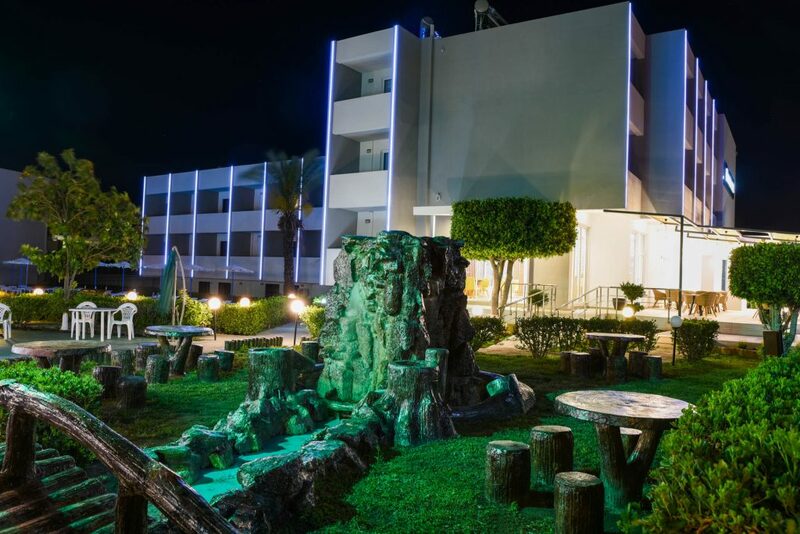 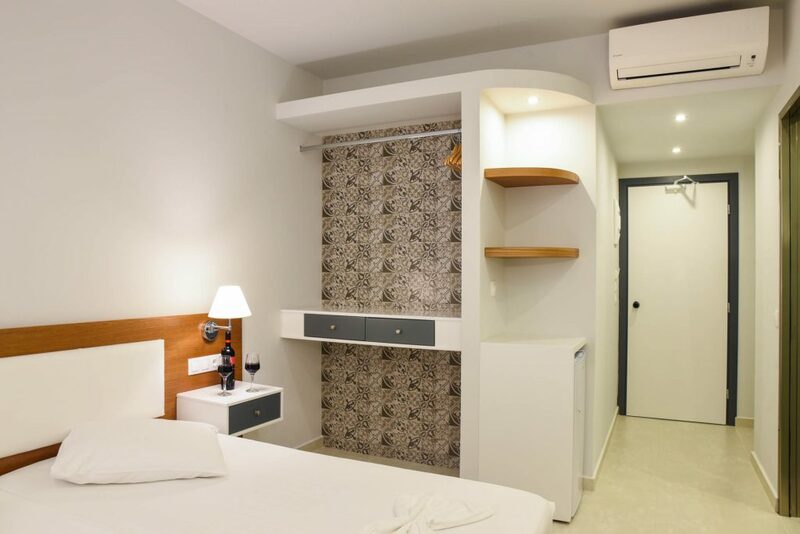 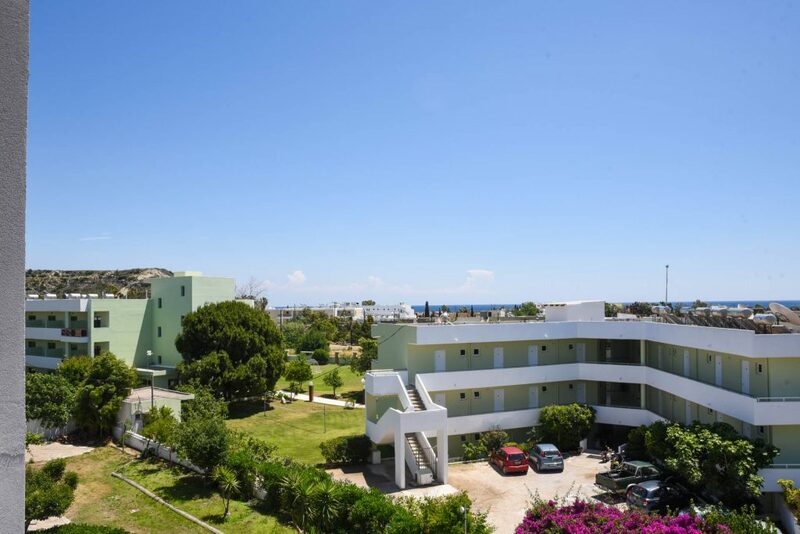 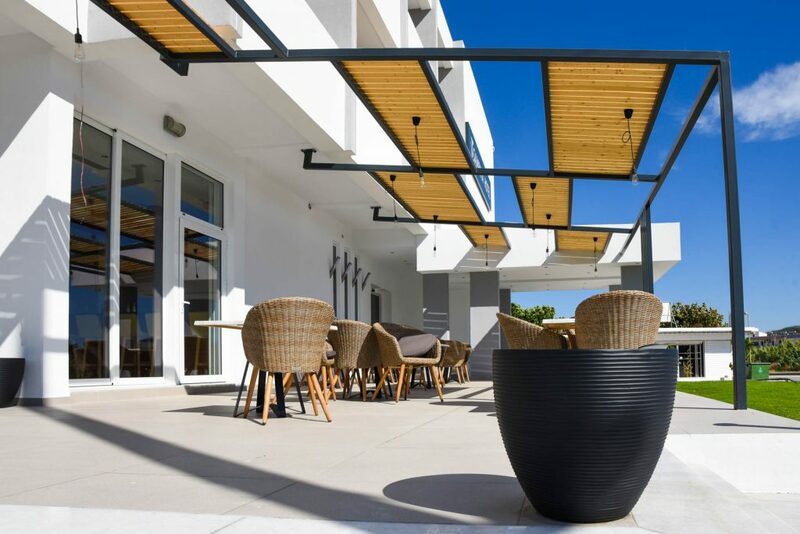 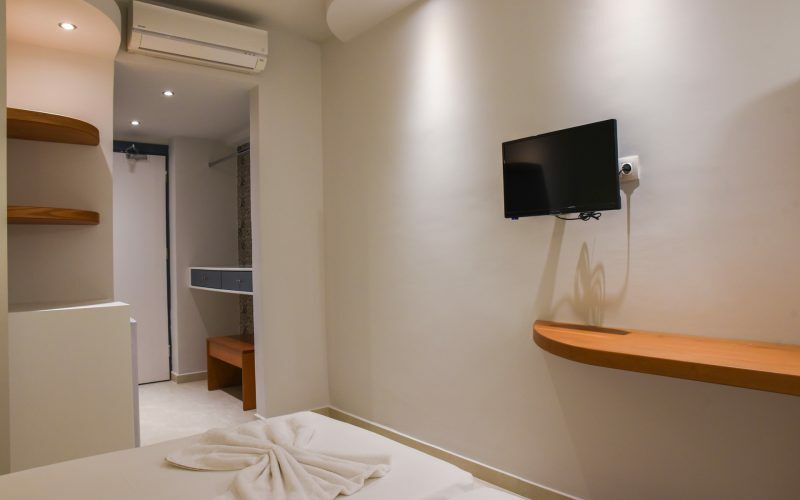 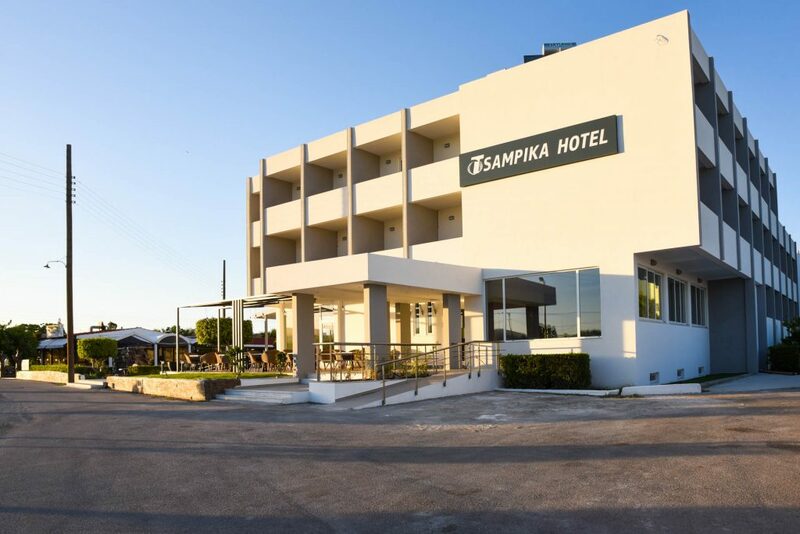 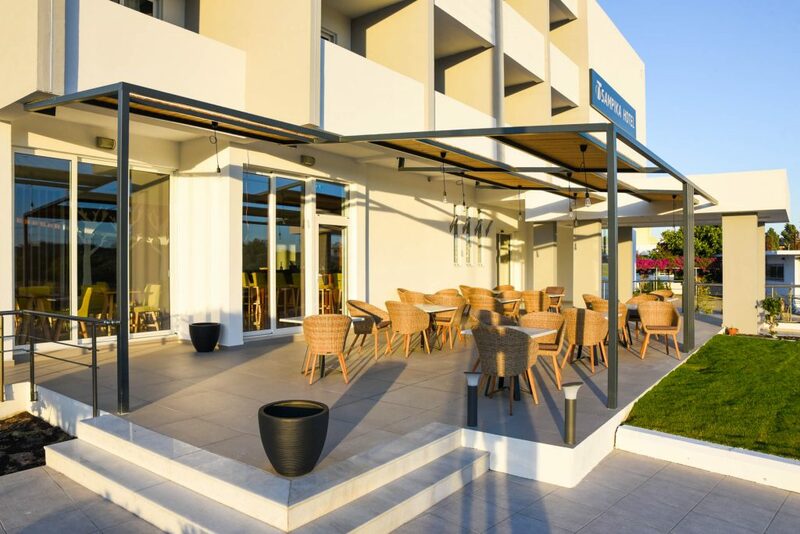 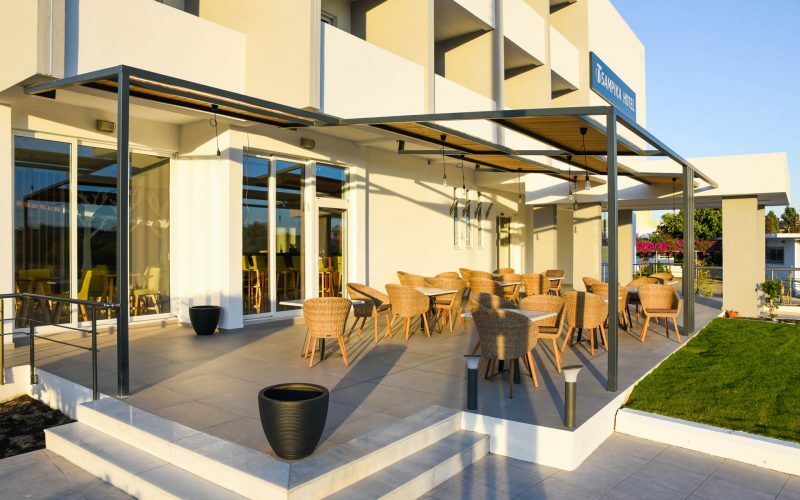 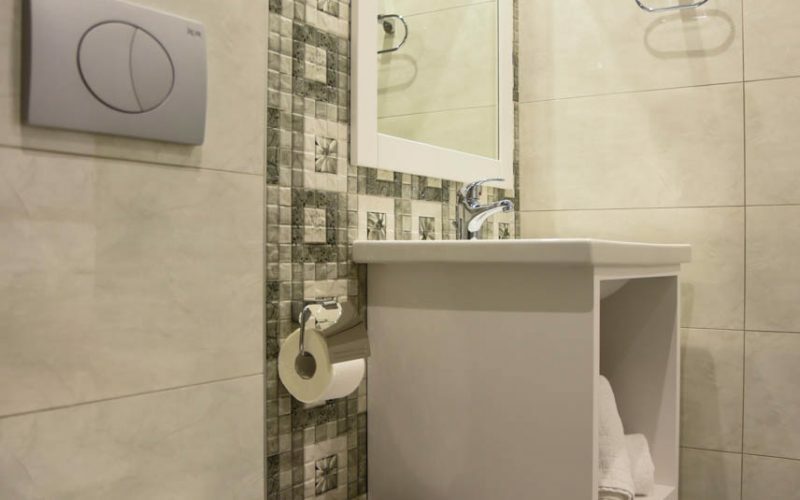 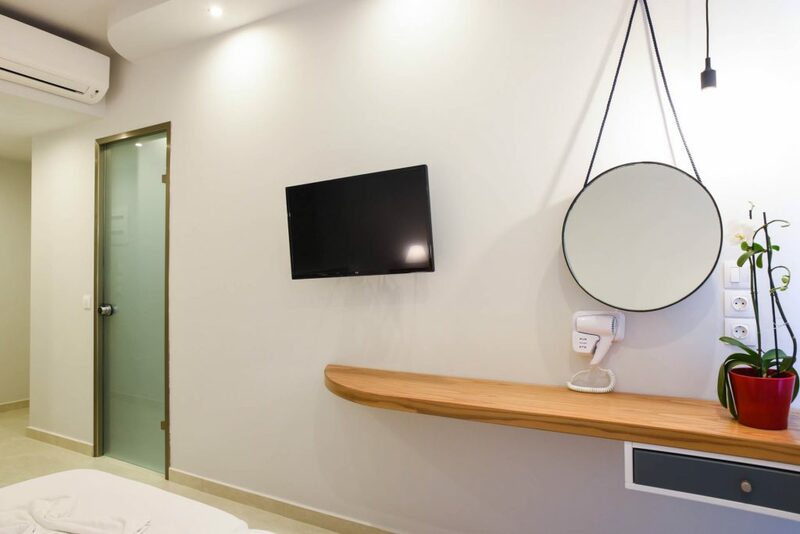 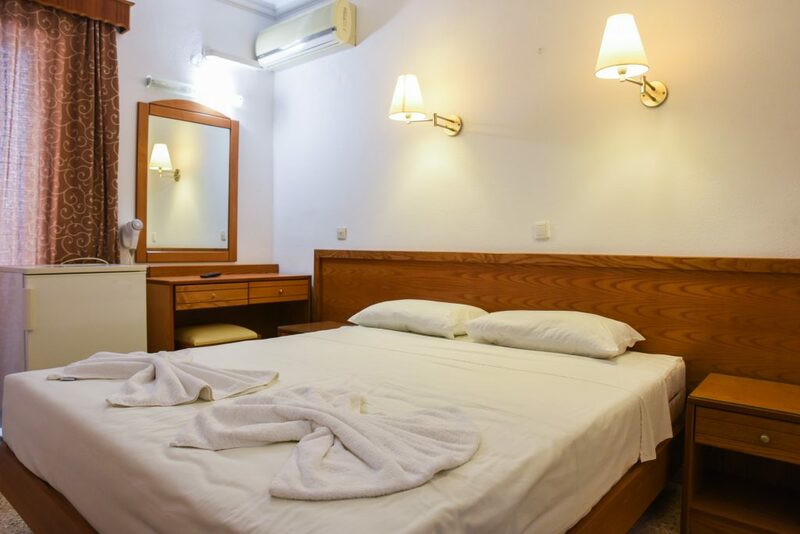 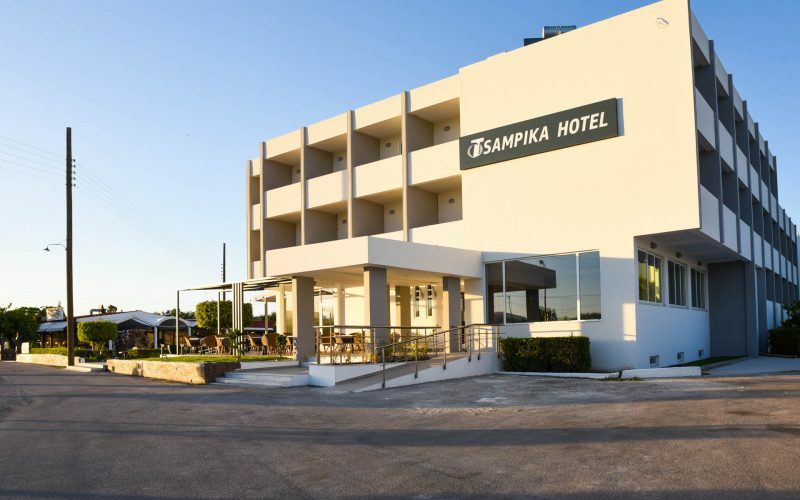 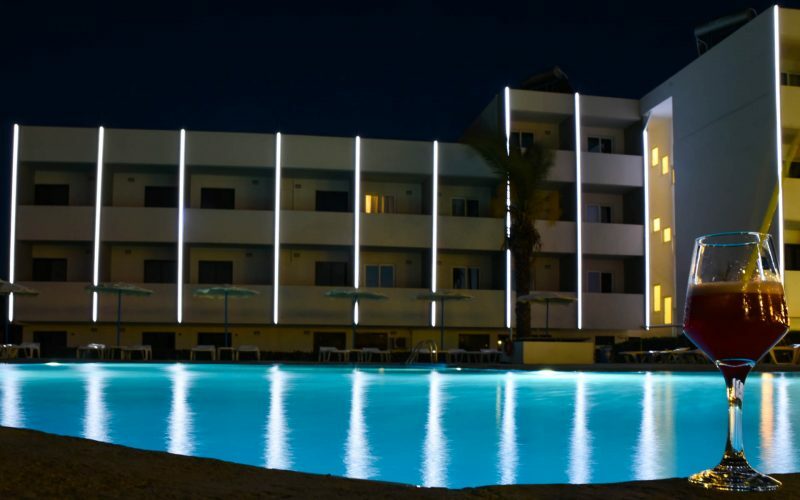 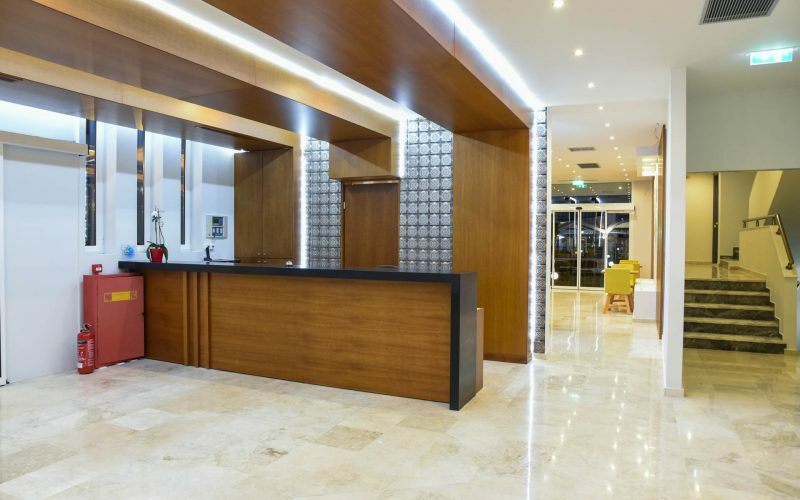 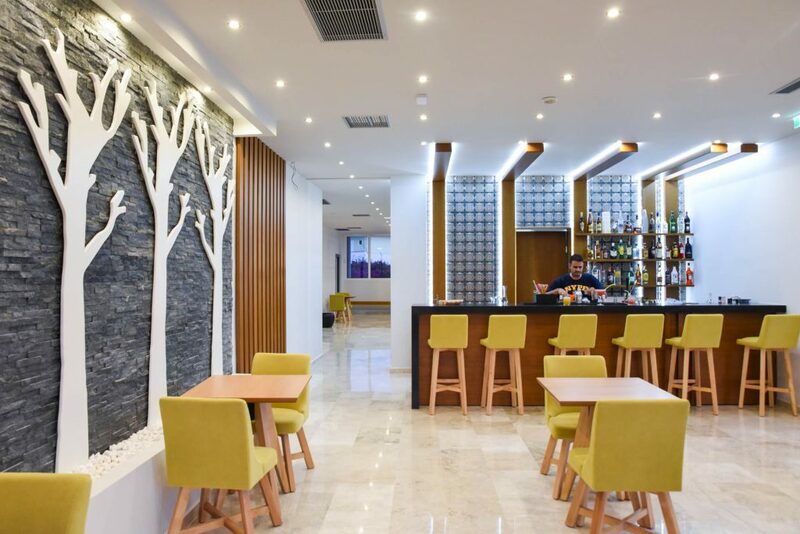 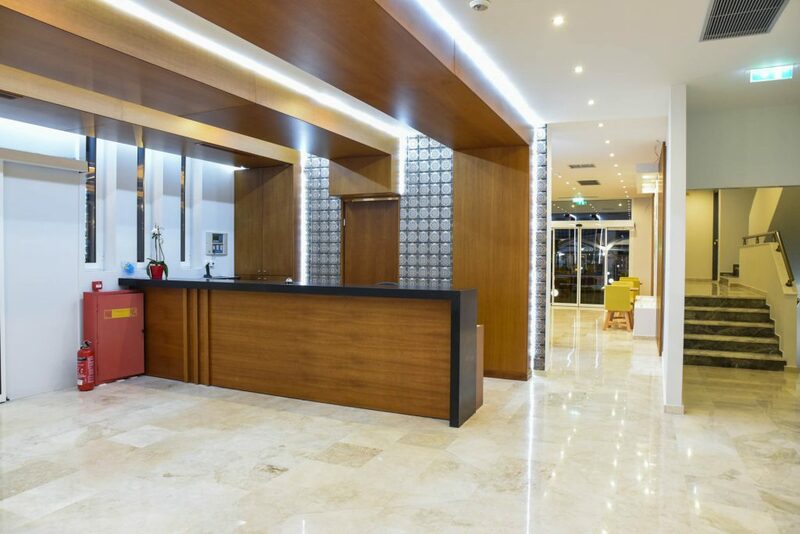 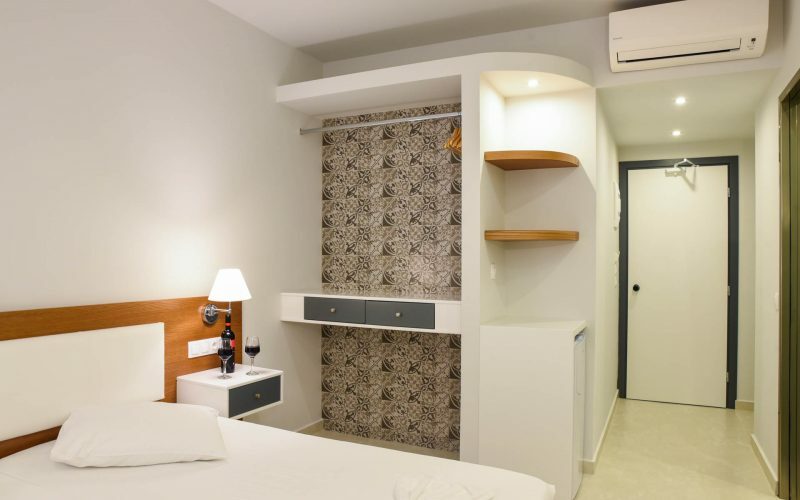 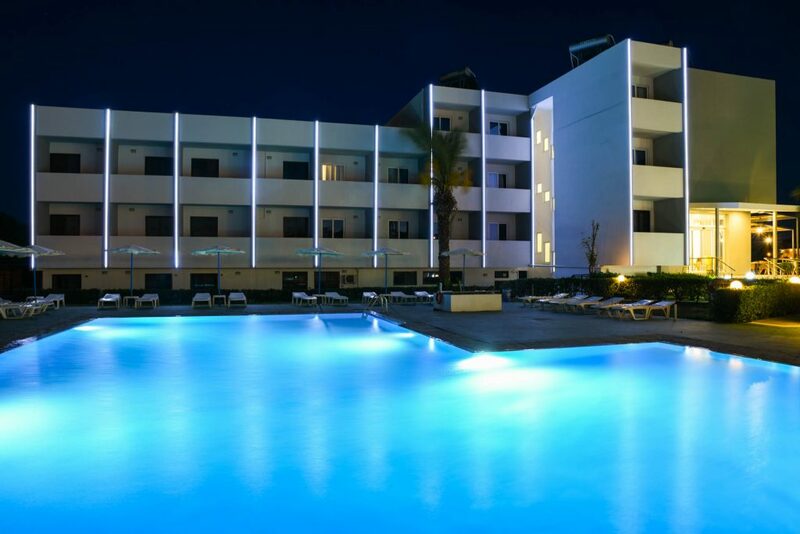 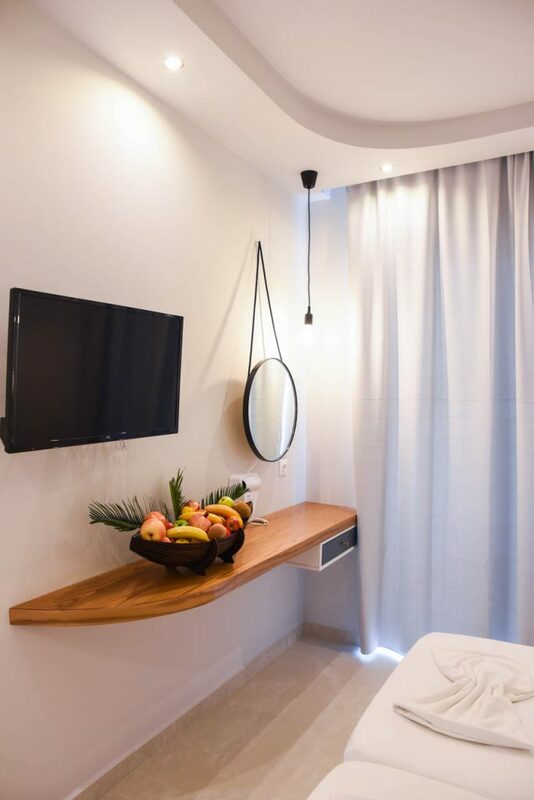 Renovated in 2017, Tsampika Hotel has all the modern facilities and offers in the category of Family Hotels in Faliraki, Rhodes. 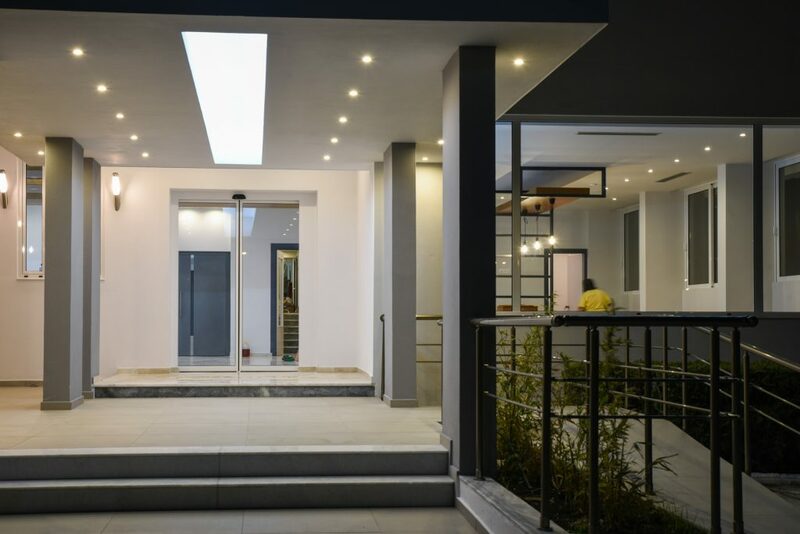 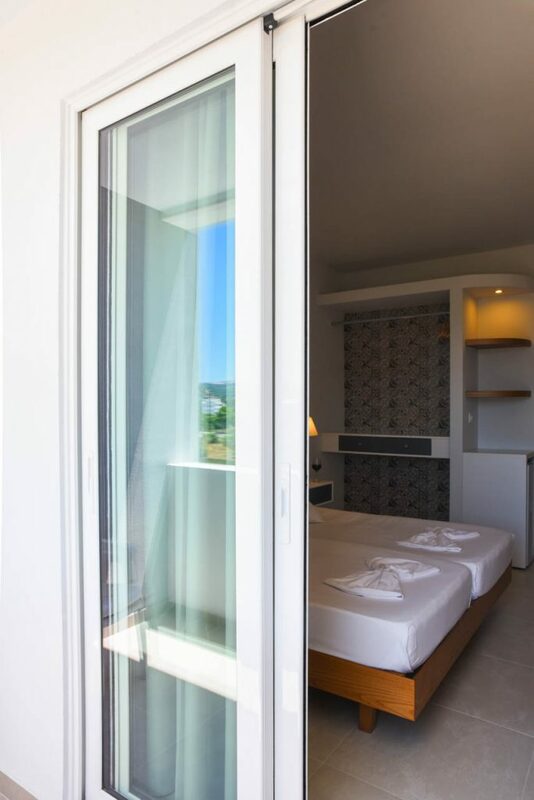 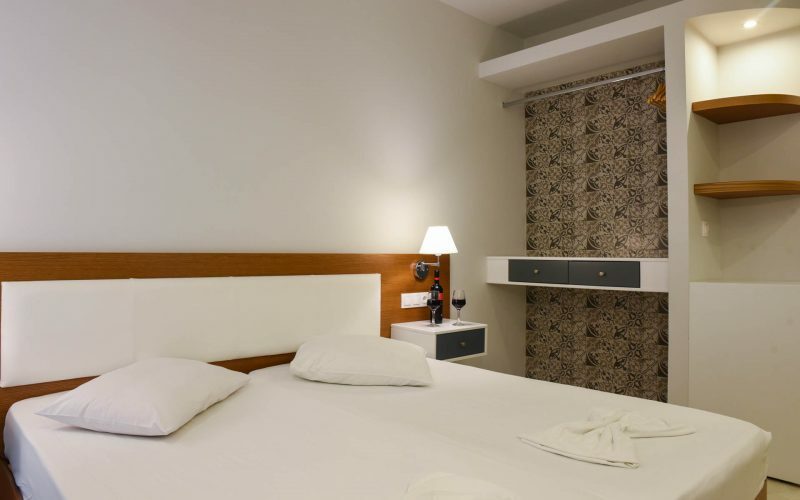 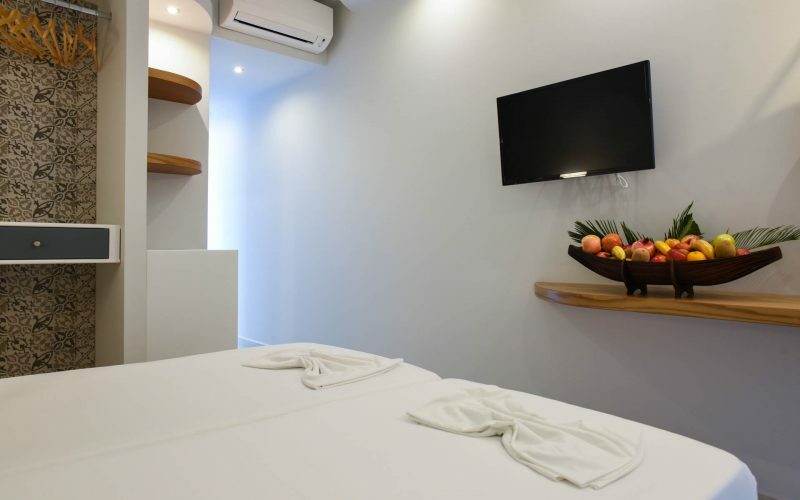 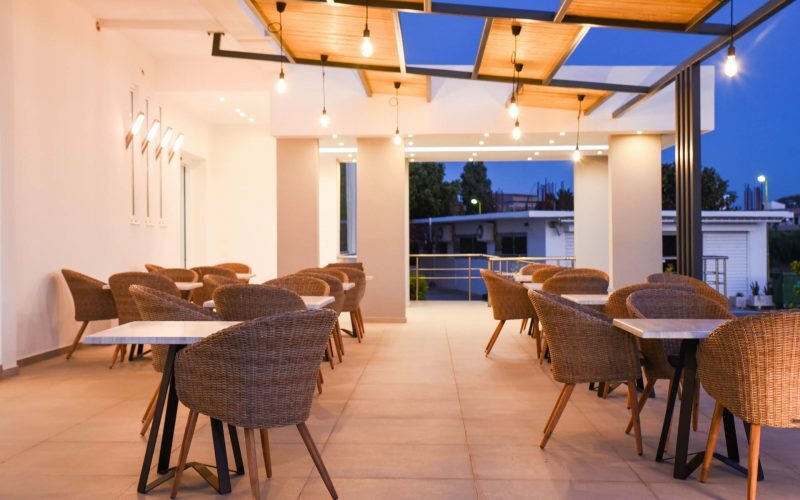 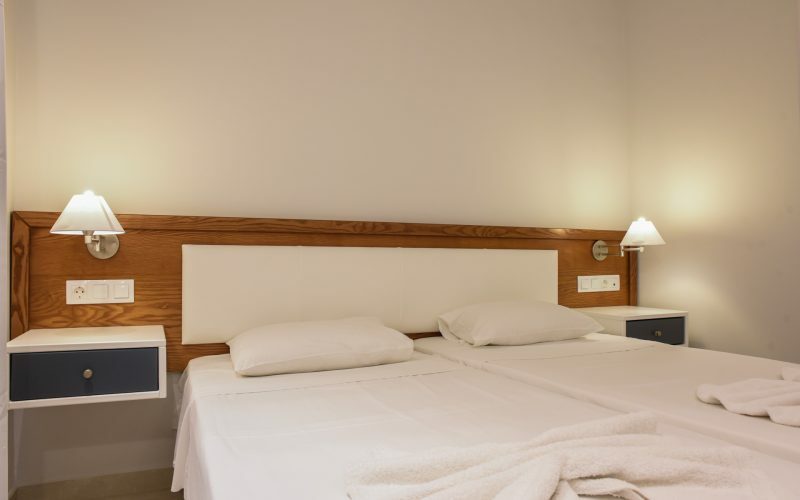 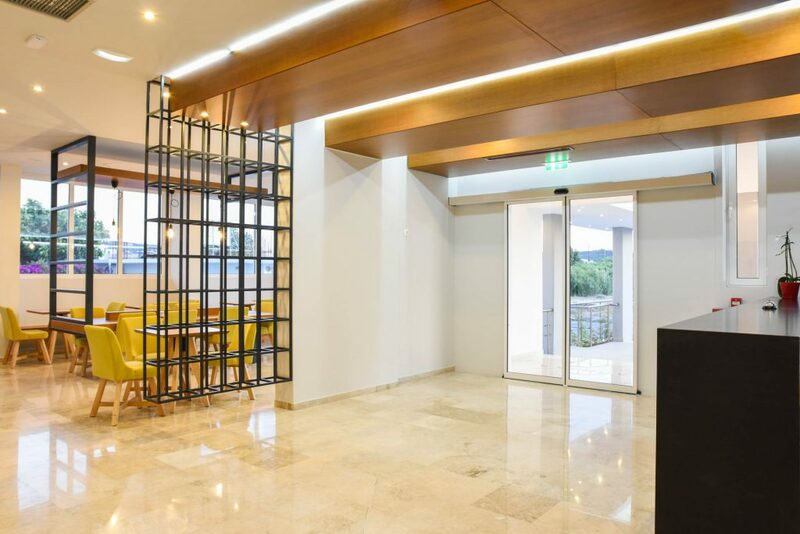 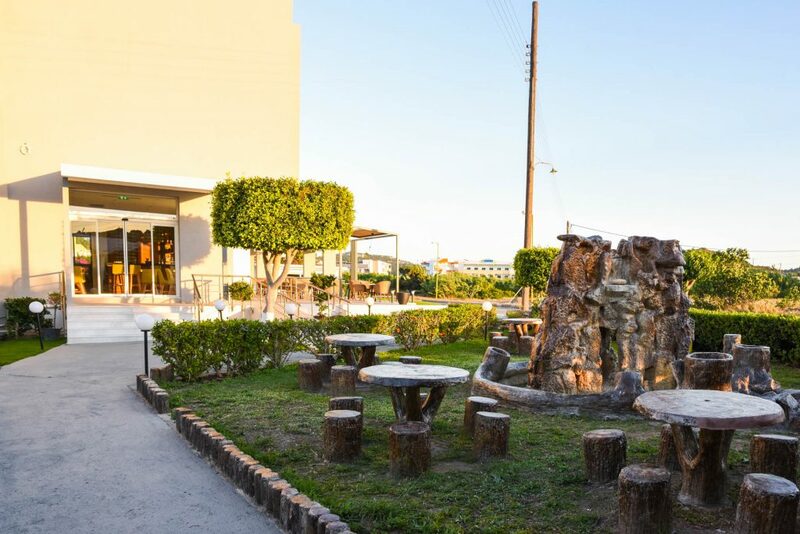 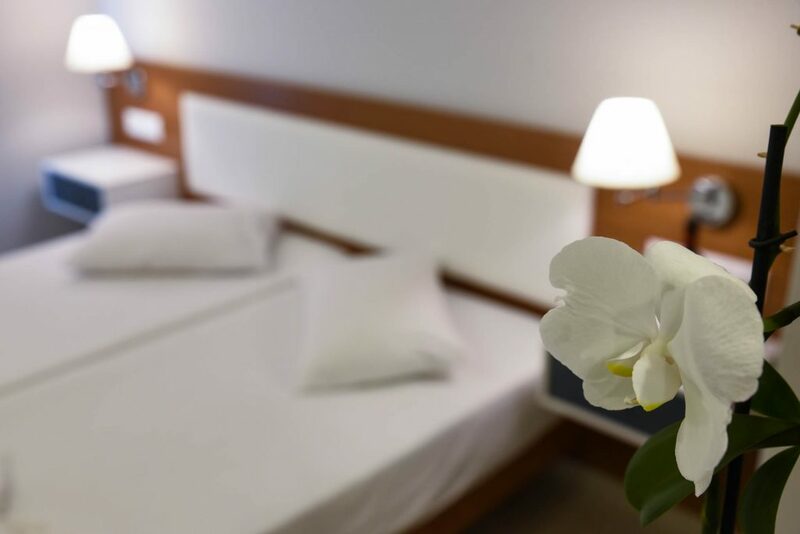 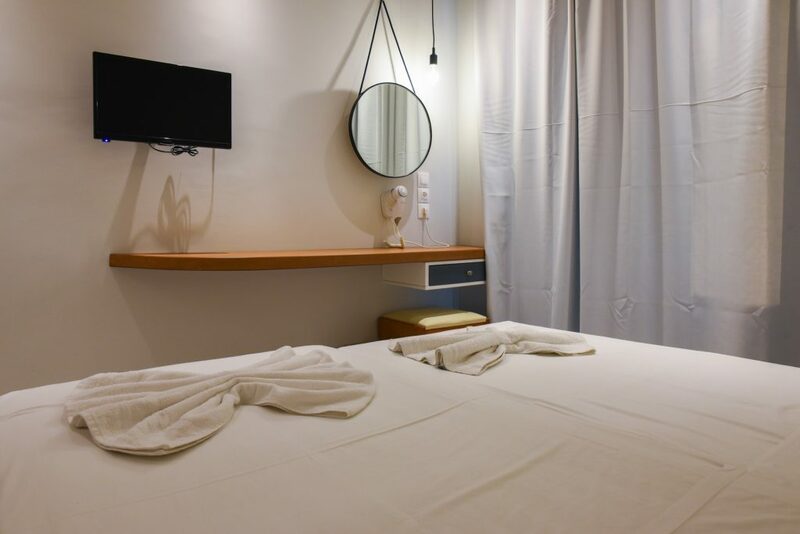 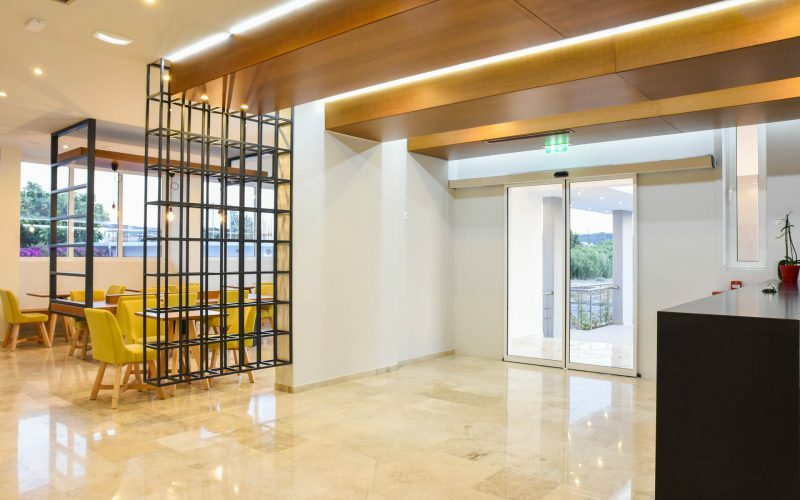 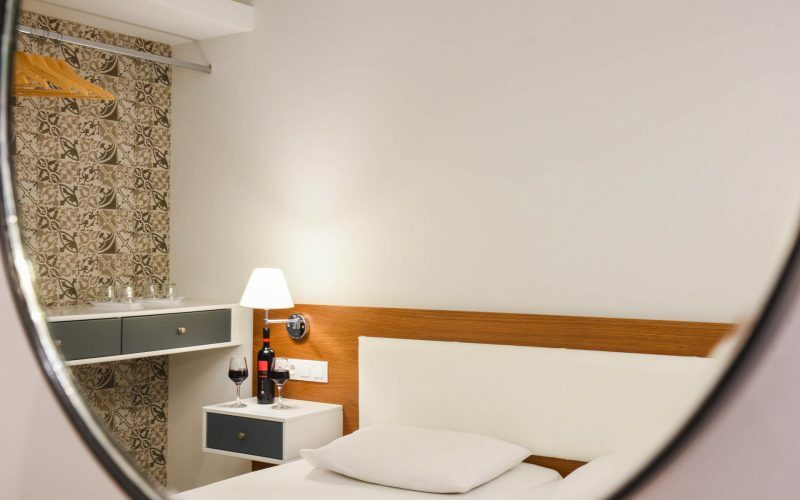 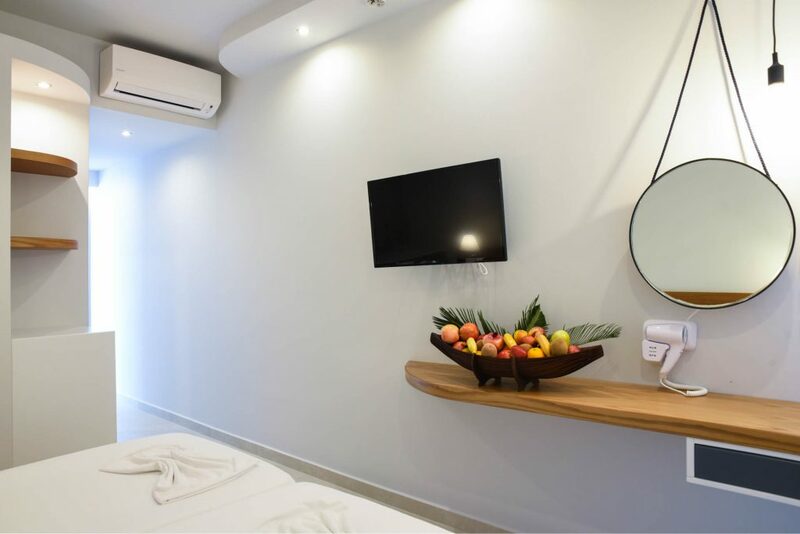 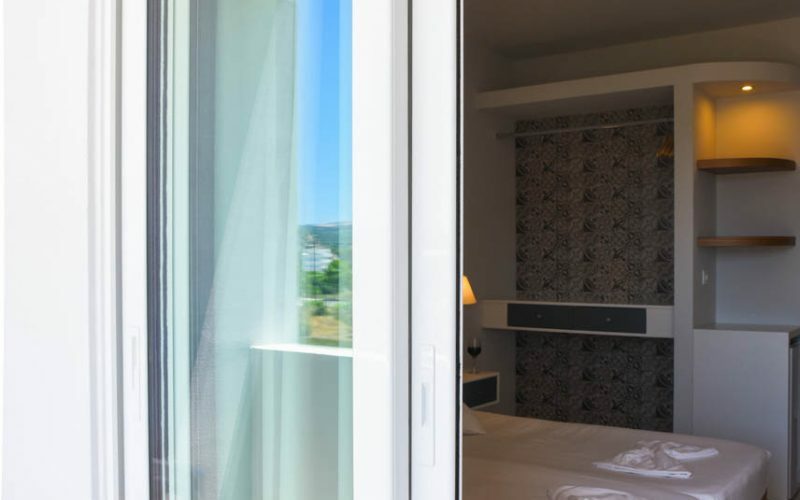 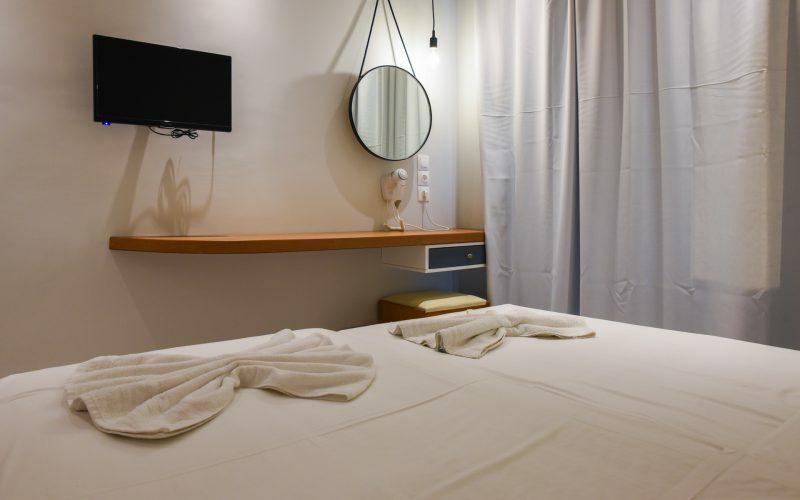 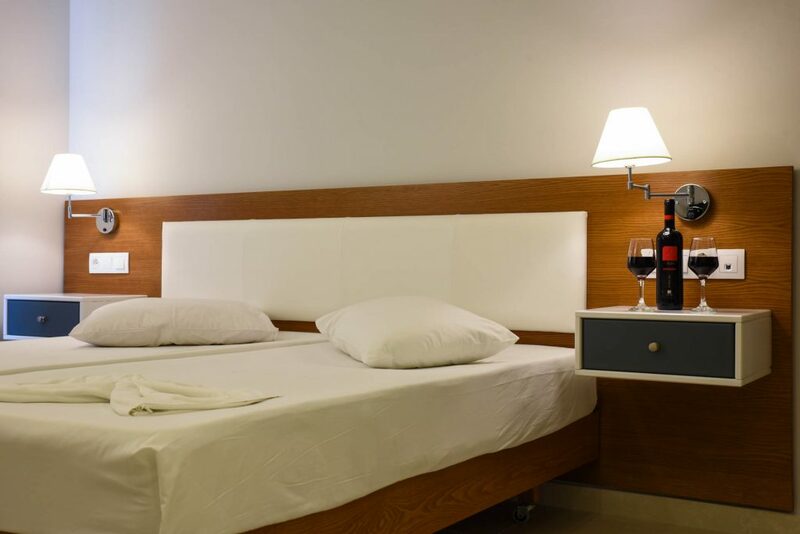 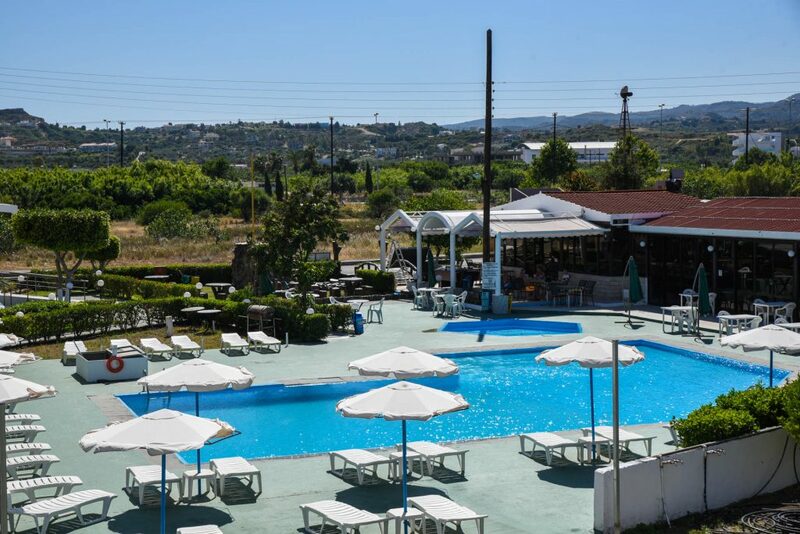 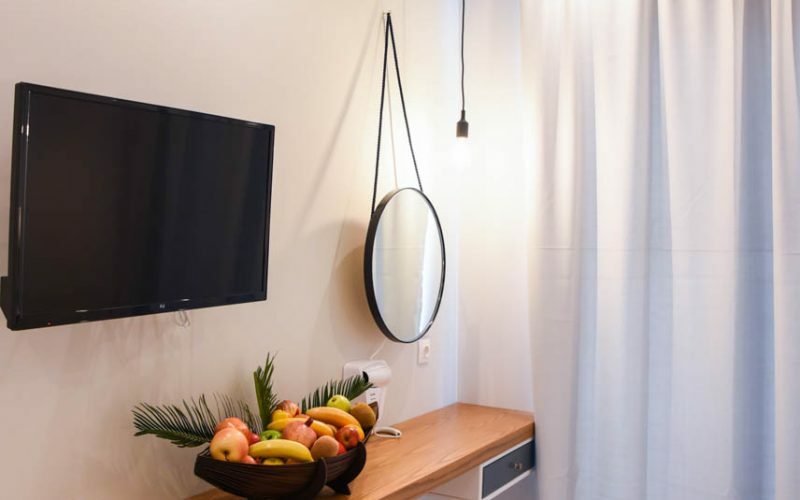 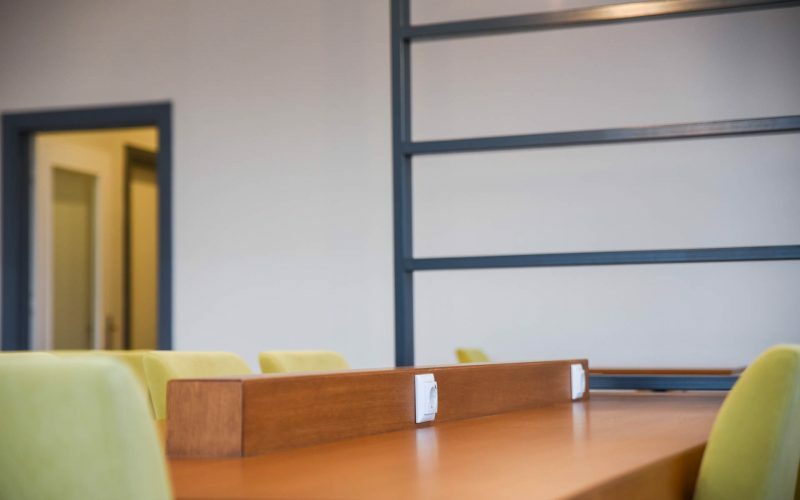 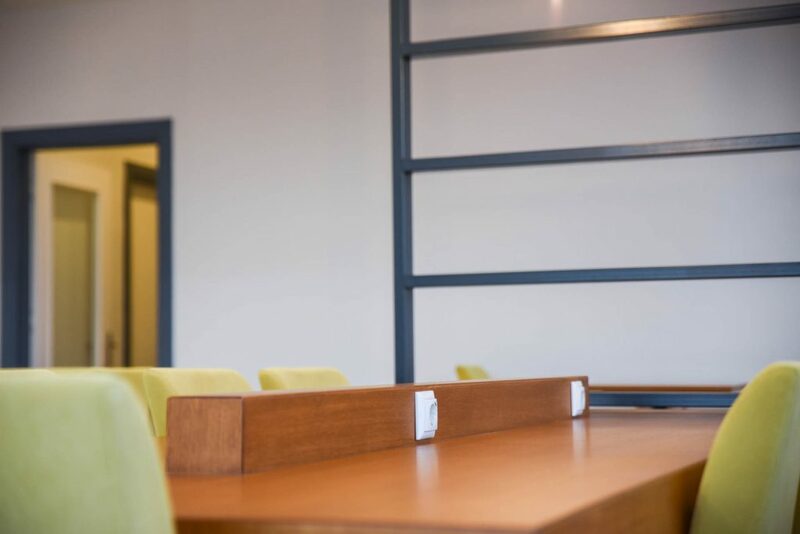 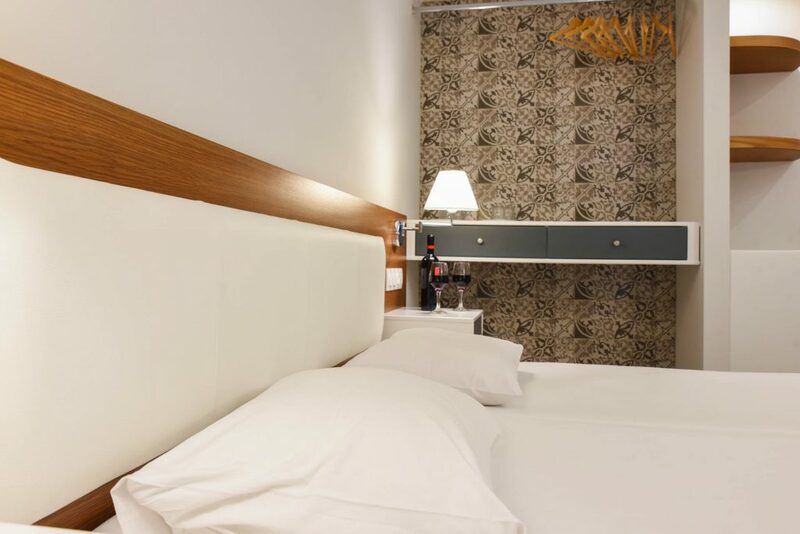 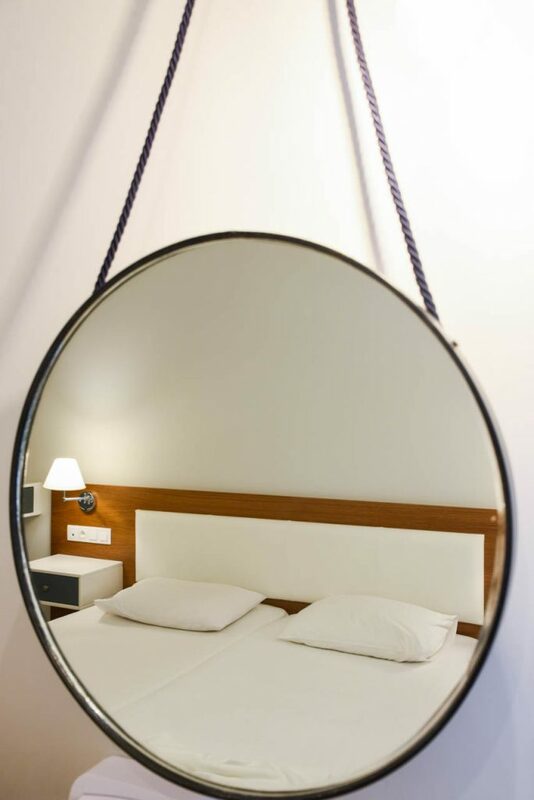 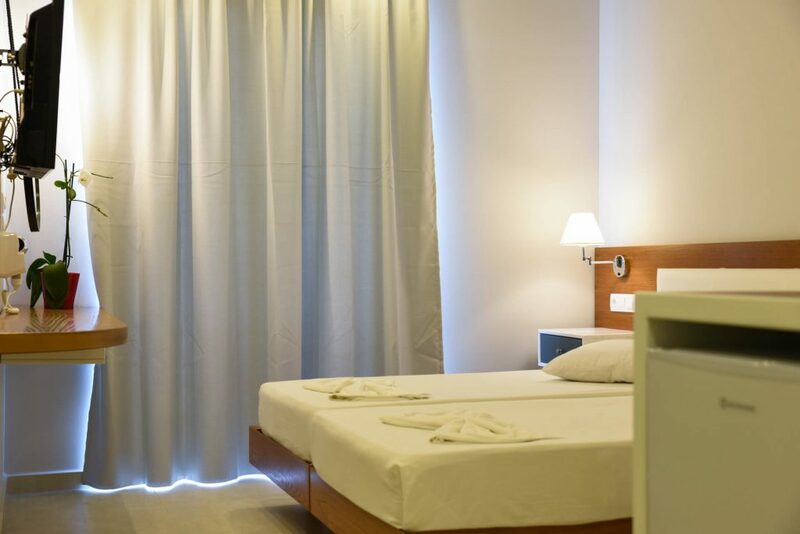 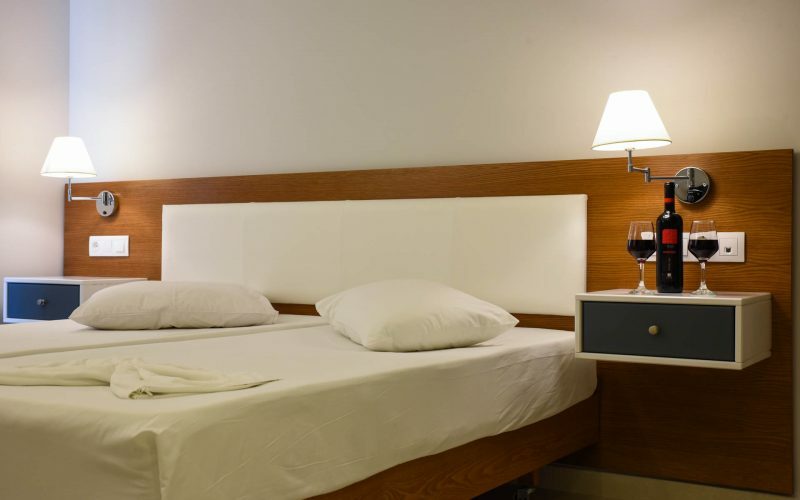 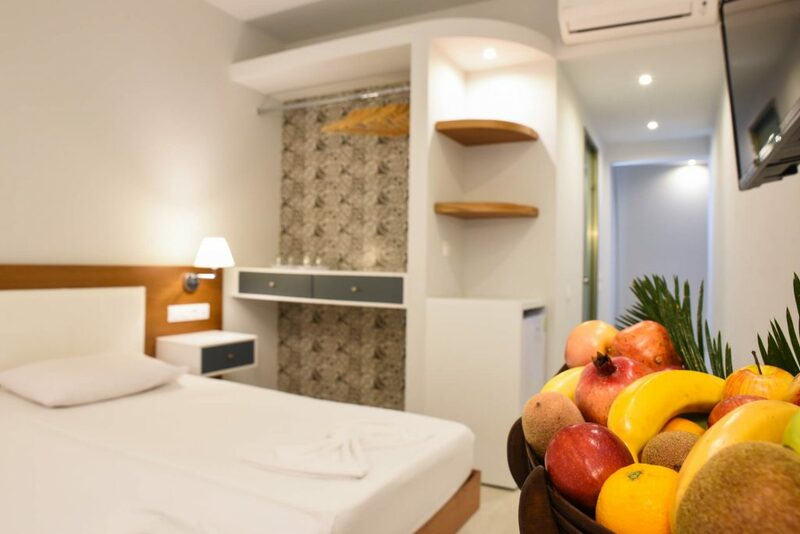 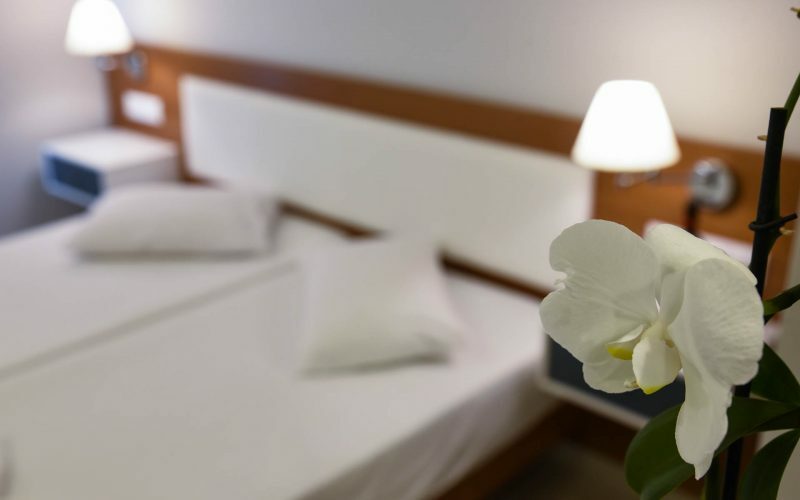 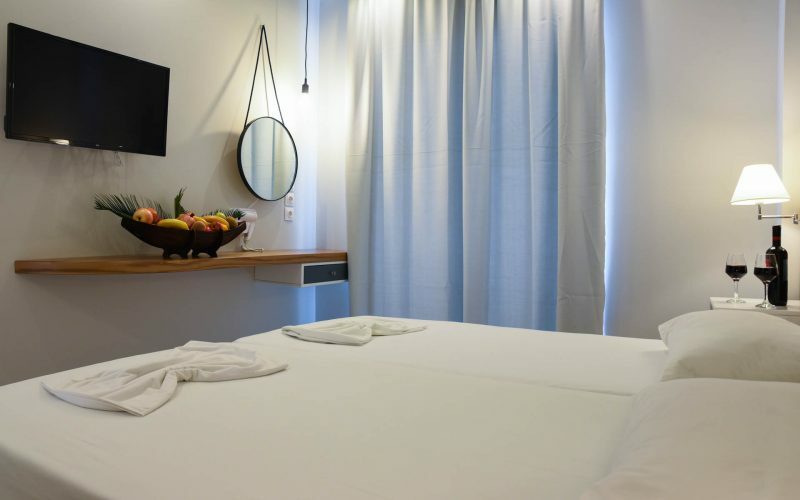 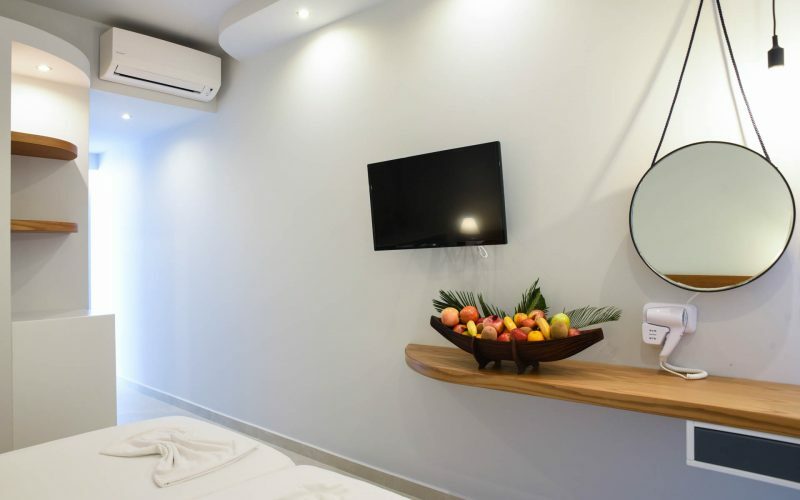 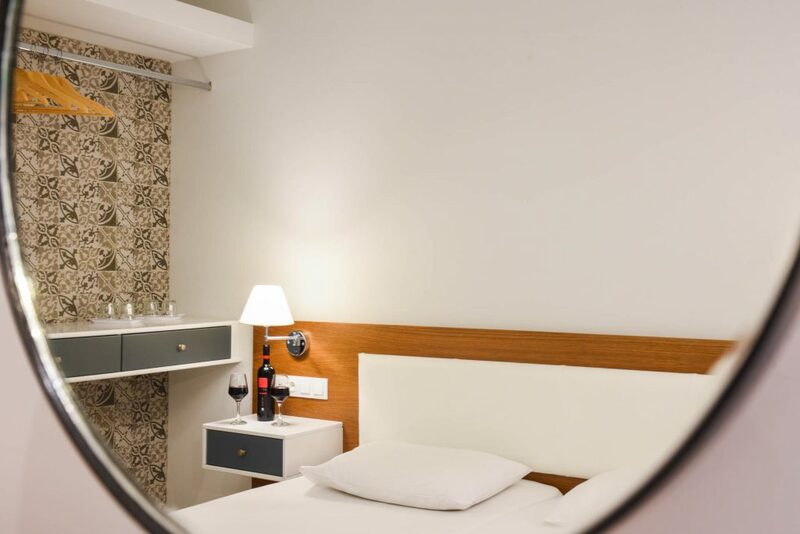 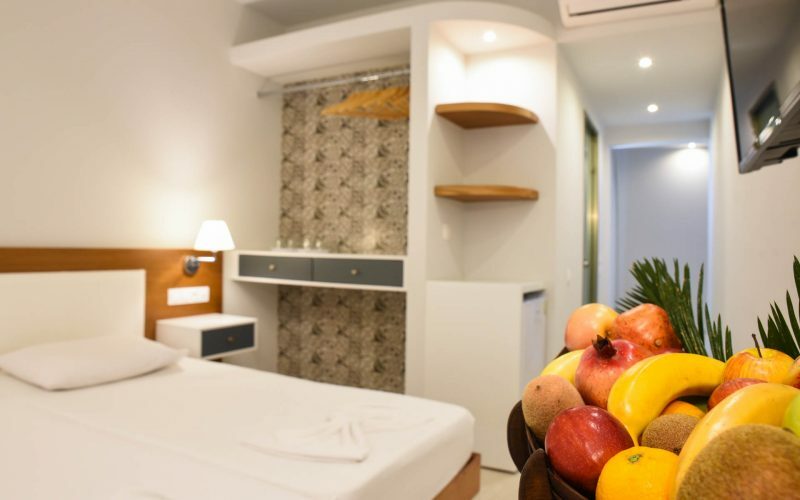 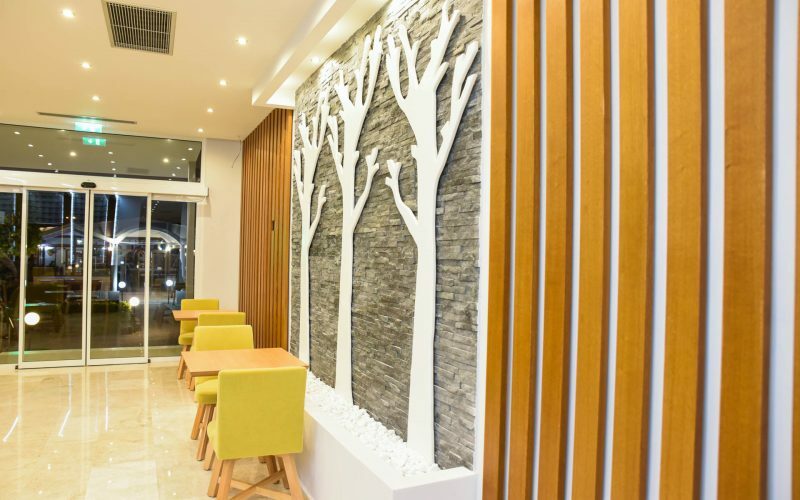 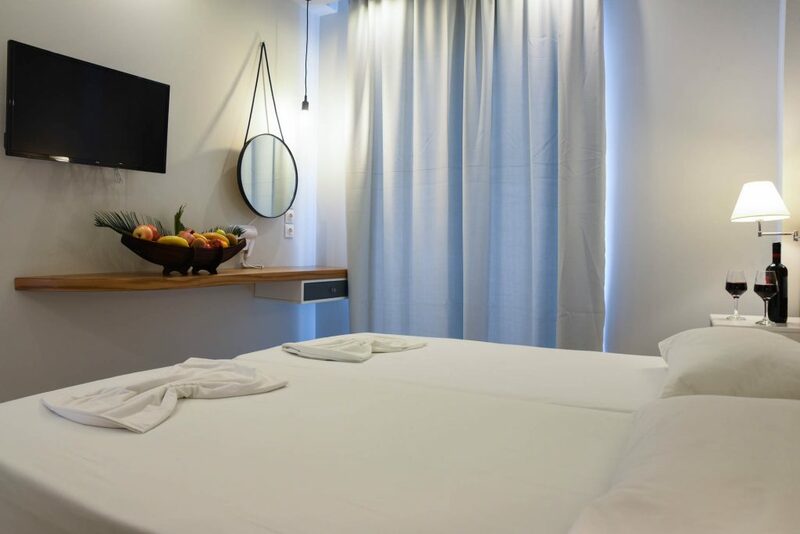 Only minutes away from the busy center of Faliraki, yet in a quiet, peaceful location, our quests can find relaxation and rejuvenation in our premises. 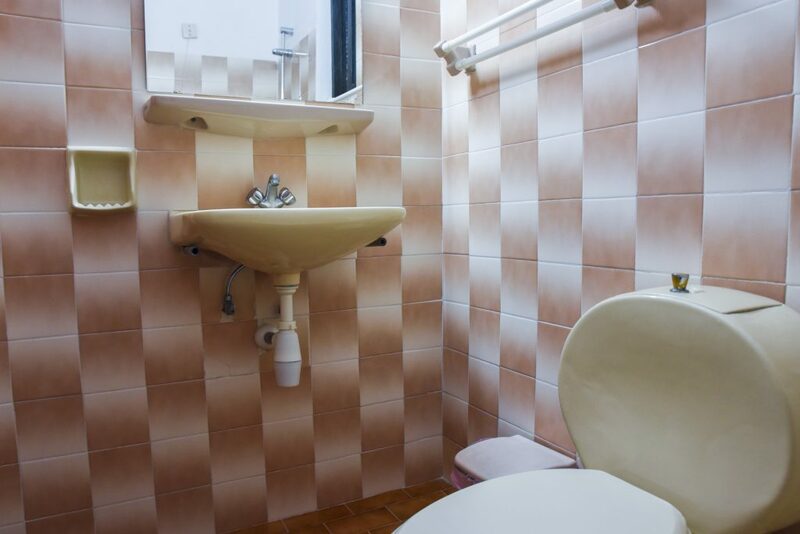 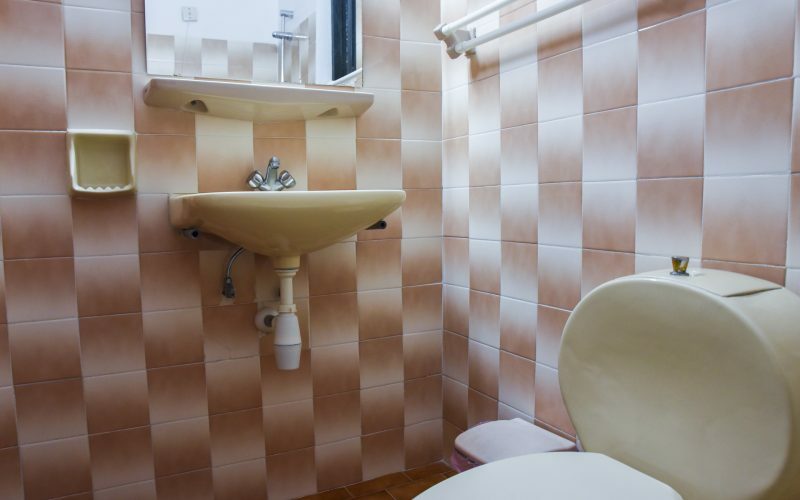 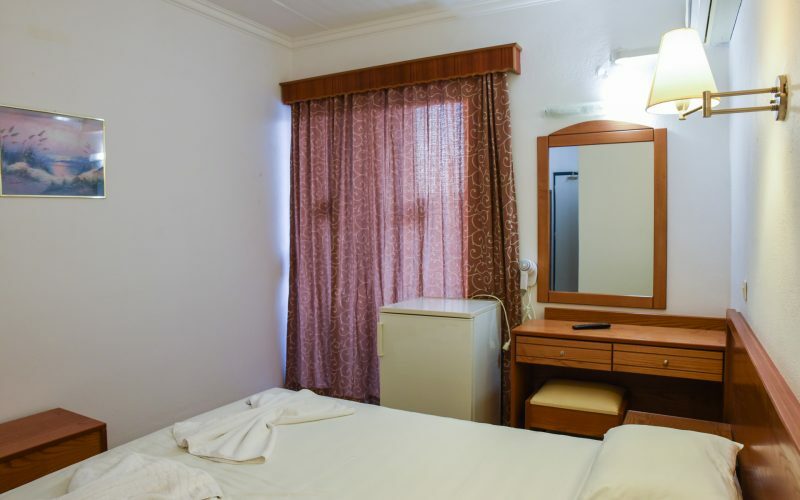 The Hotel is ideal for families as well. 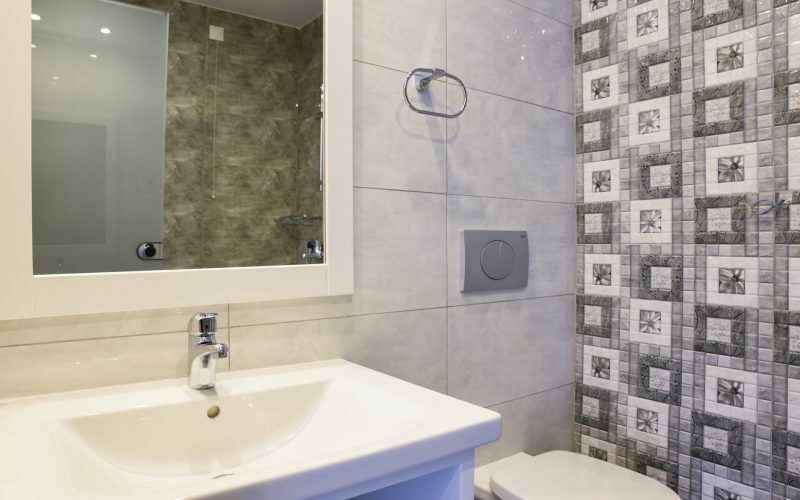 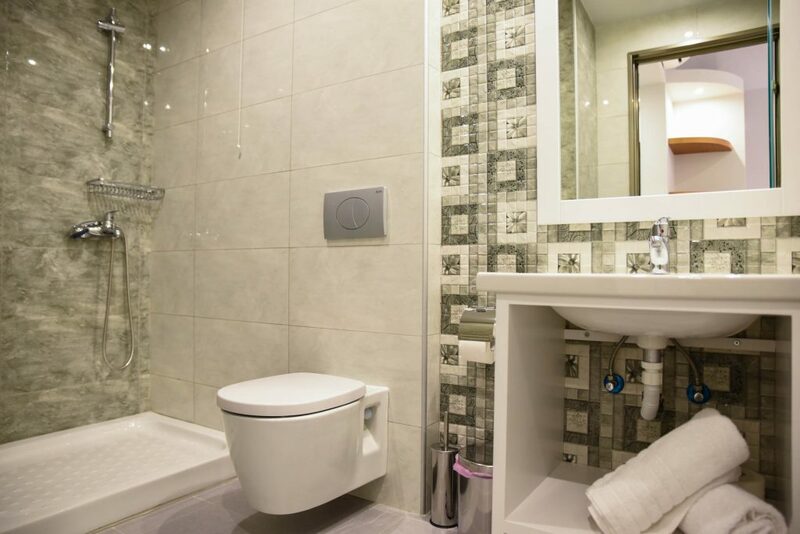 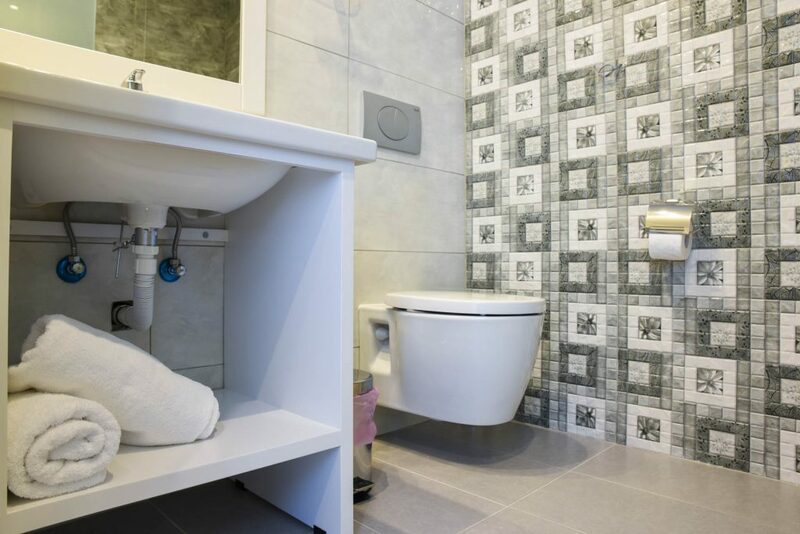 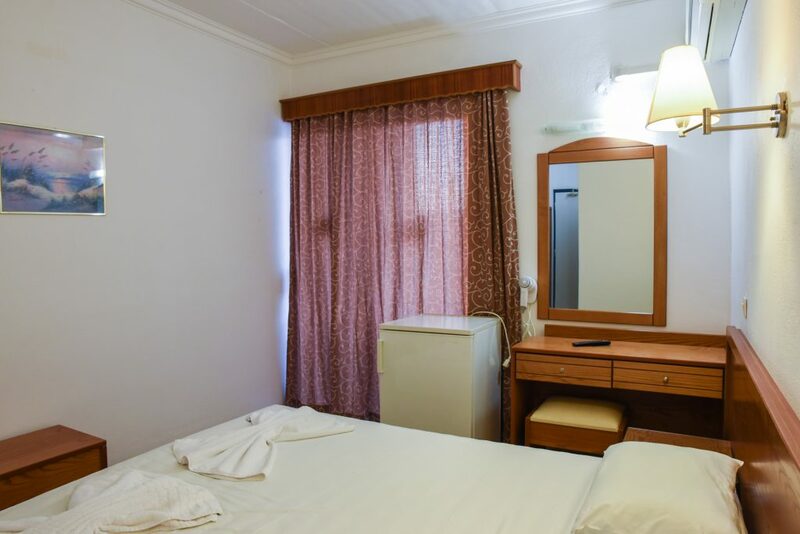 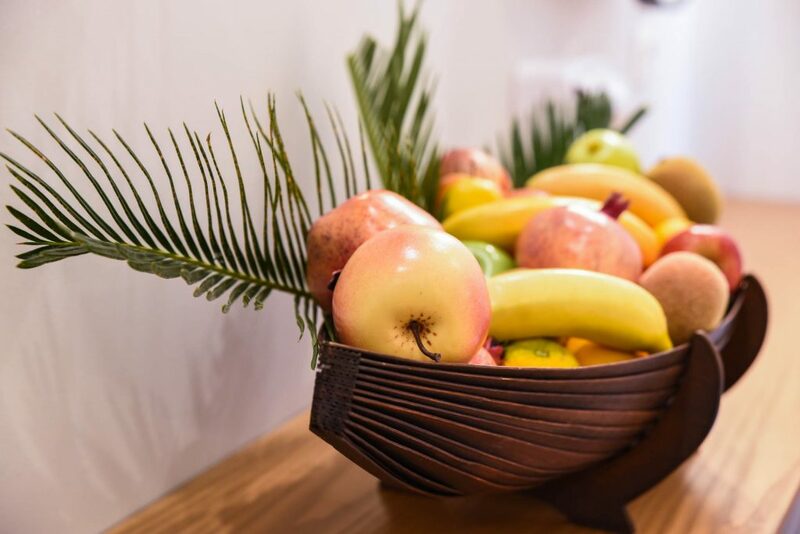 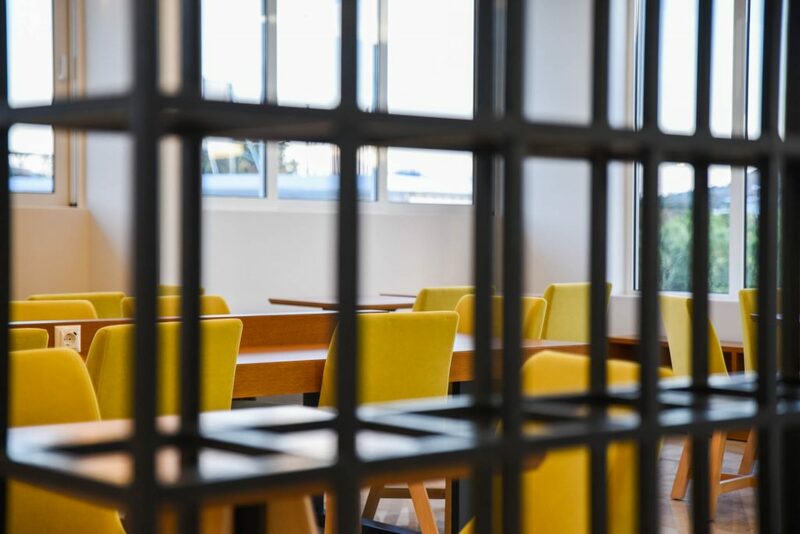 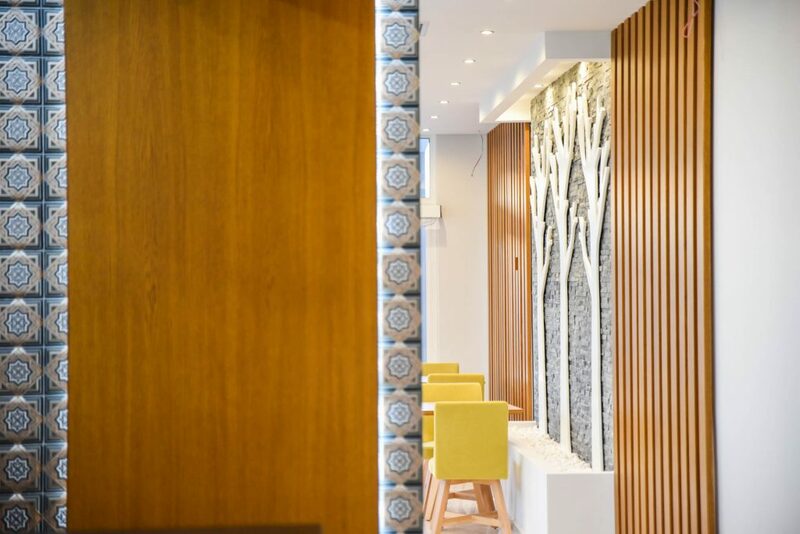 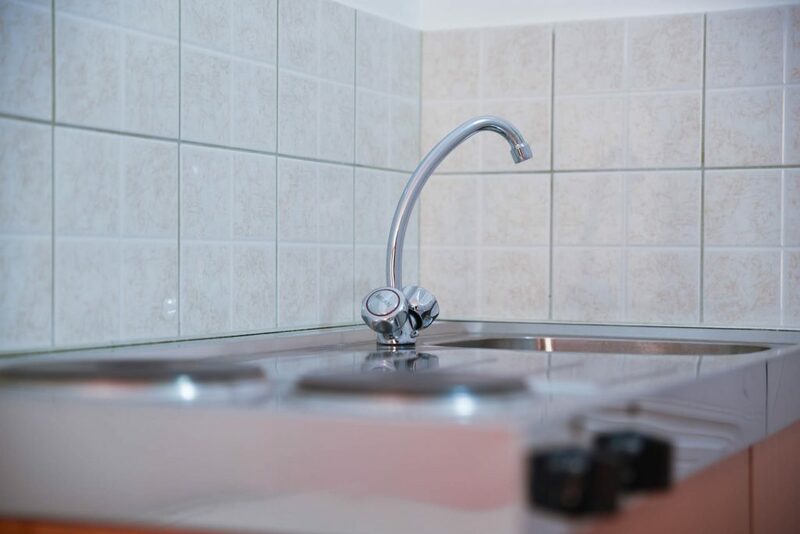 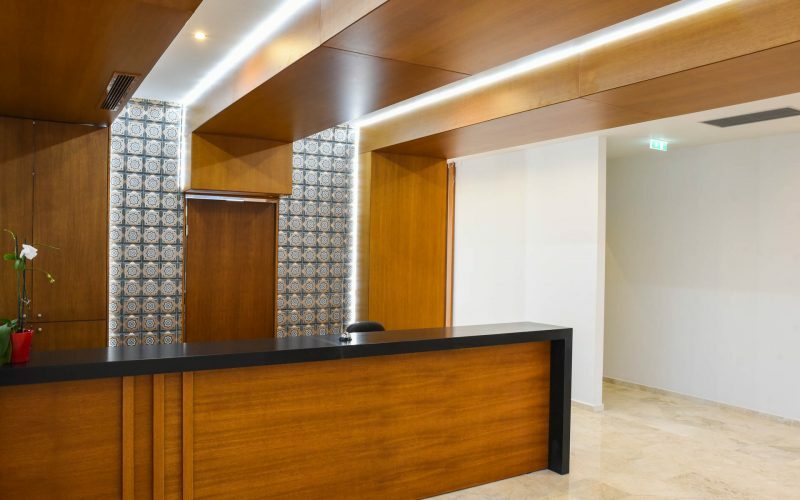 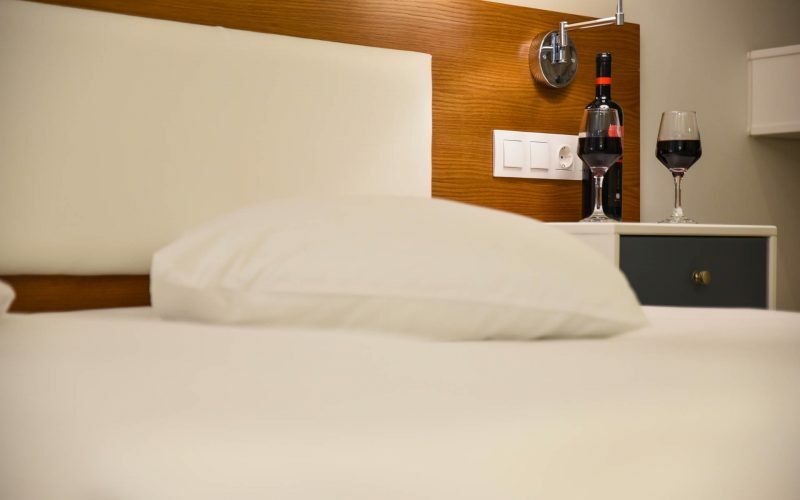 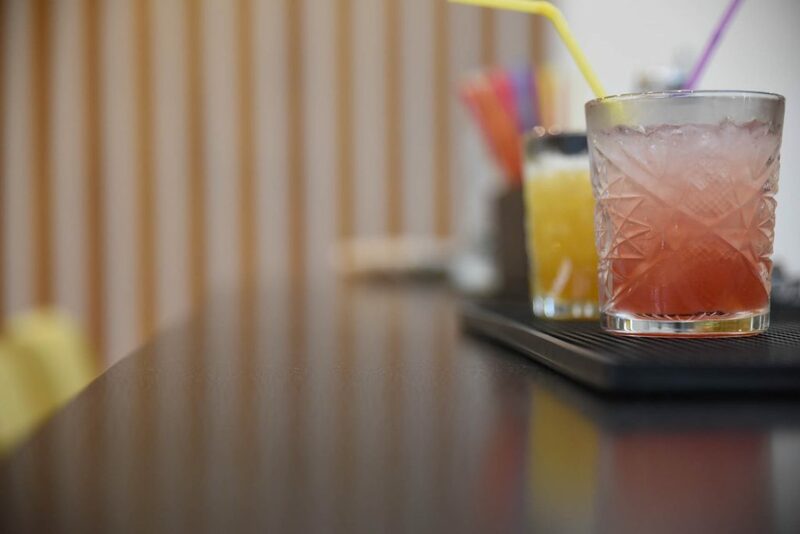 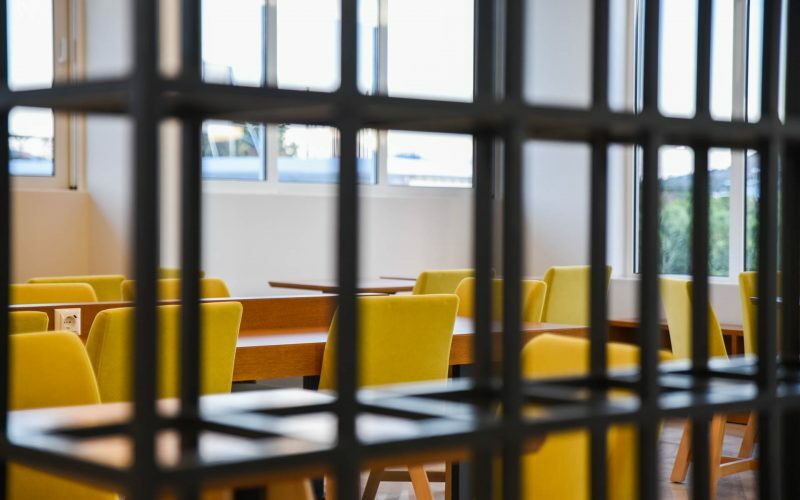 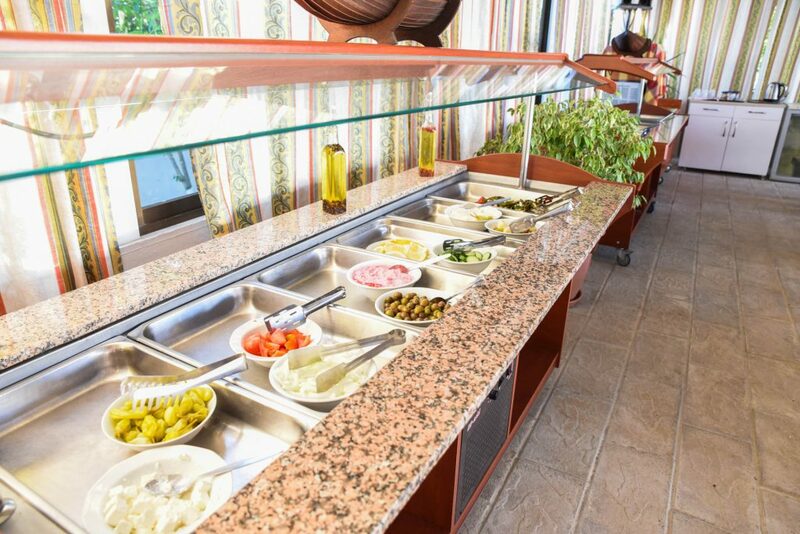 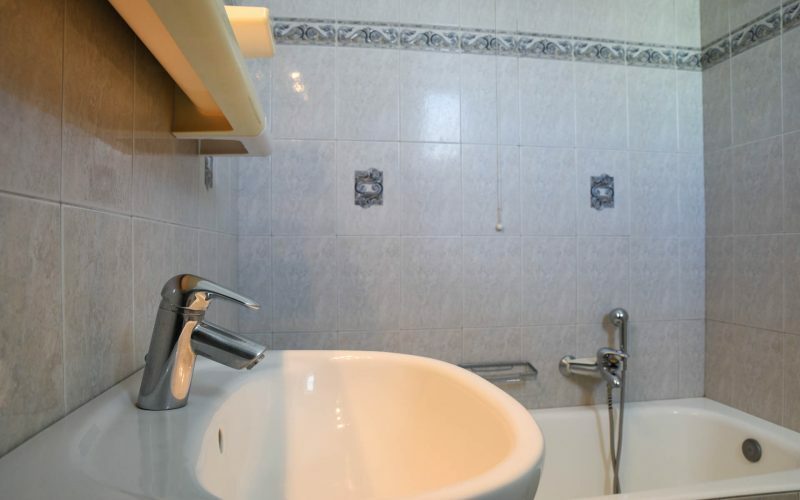 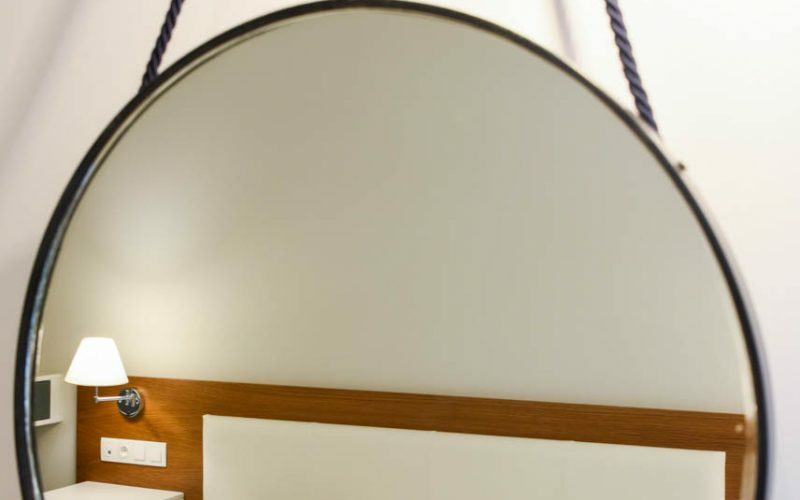 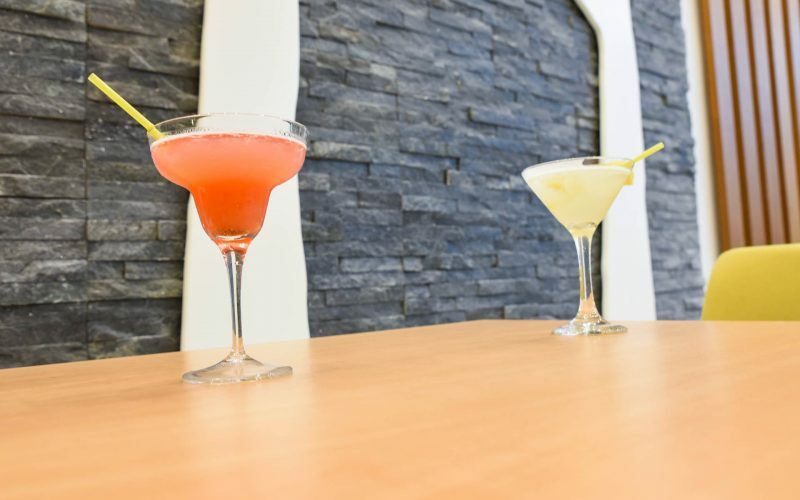 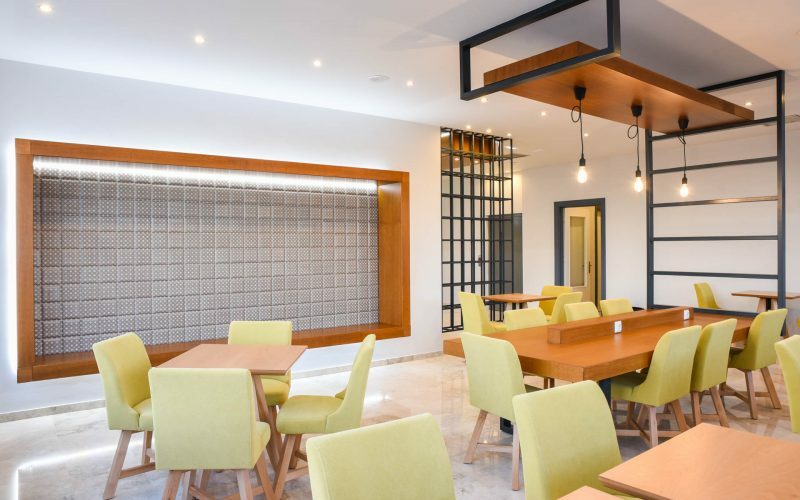 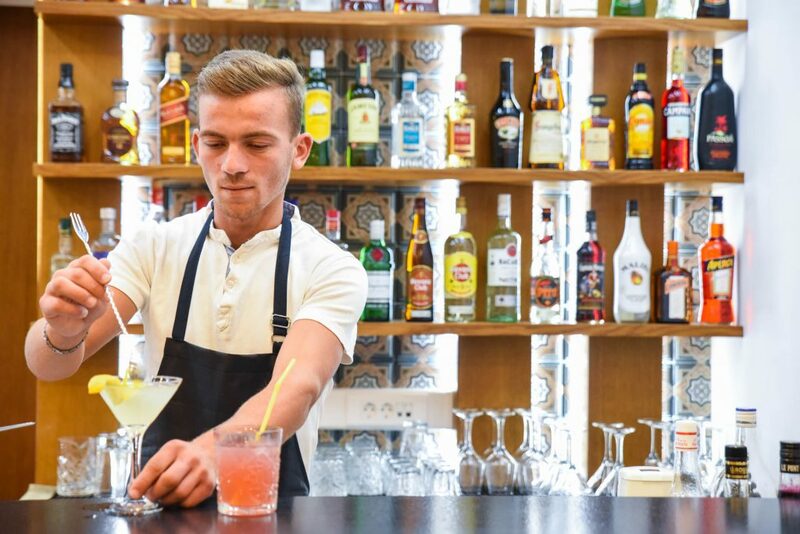 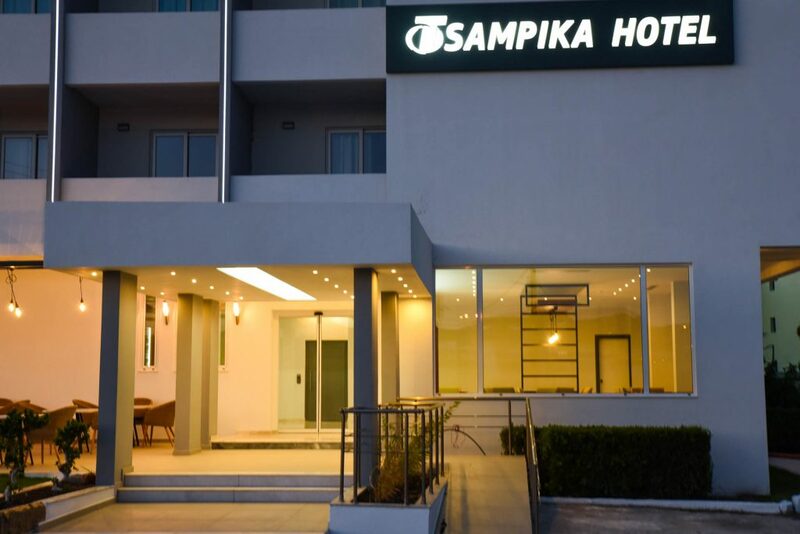 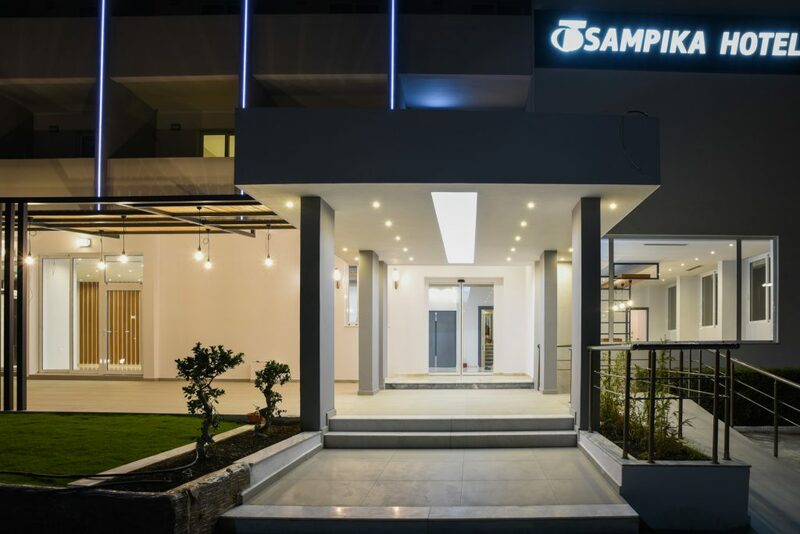 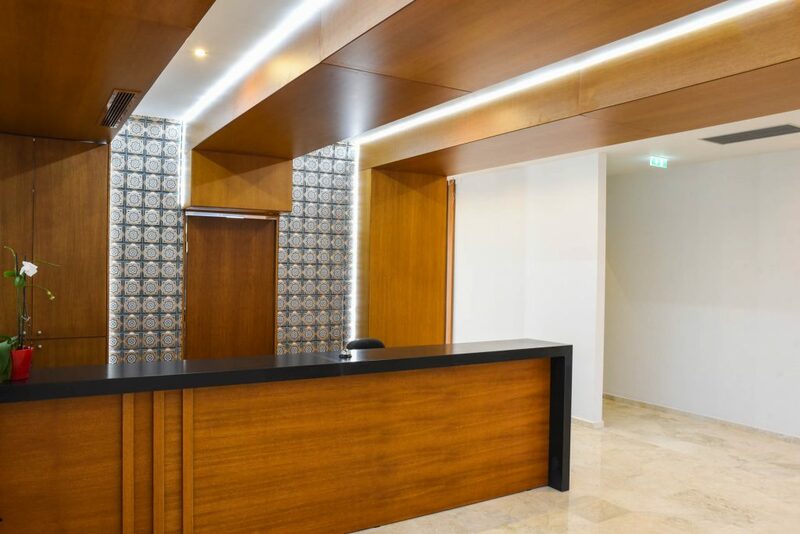 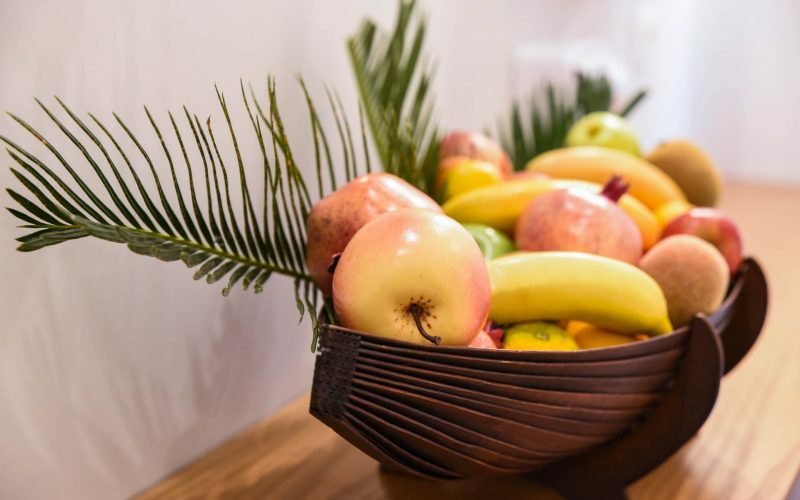 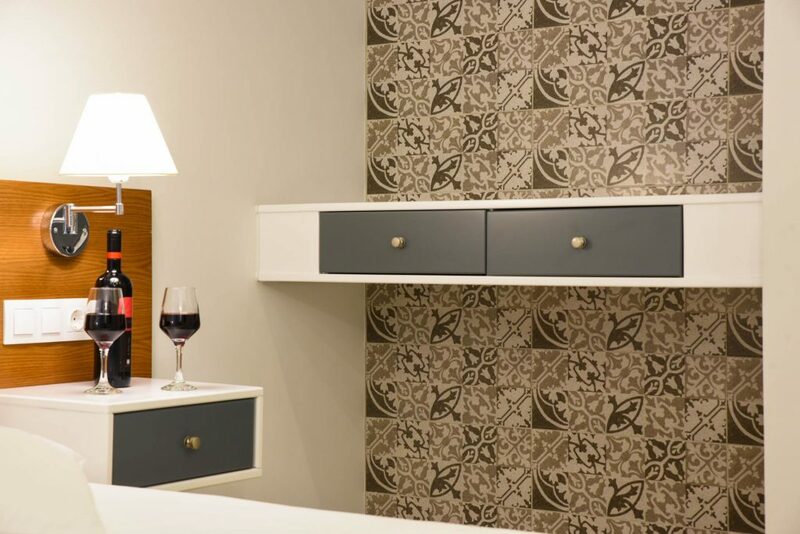 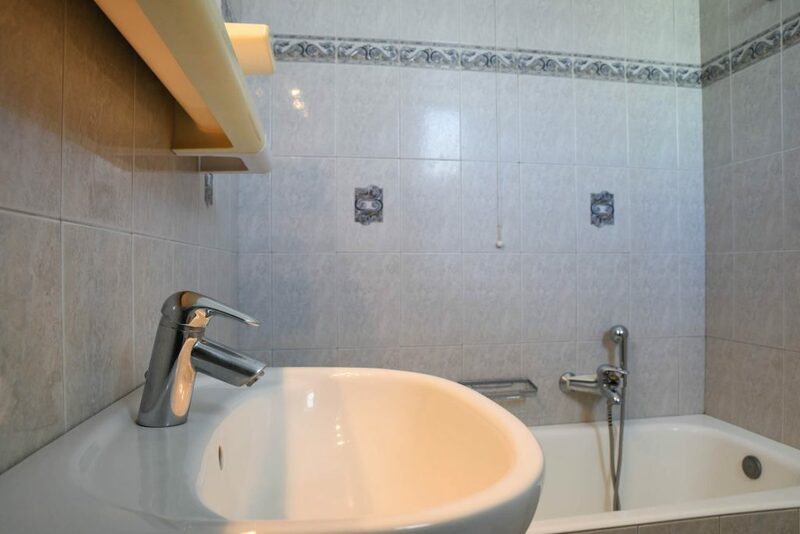 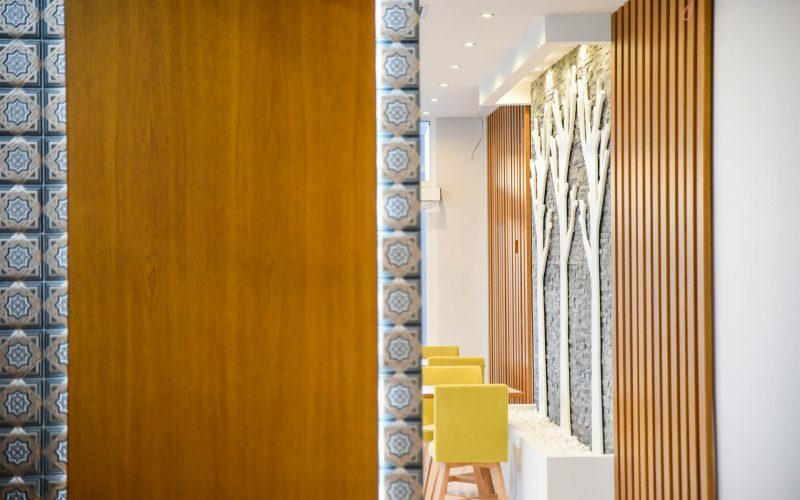 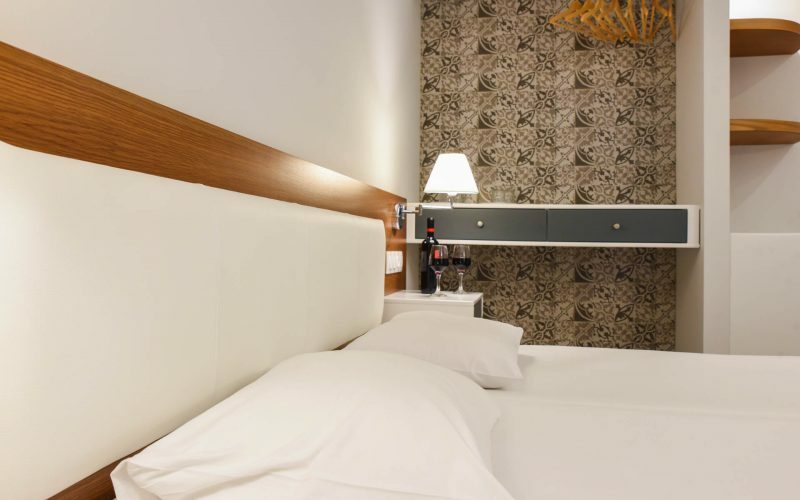 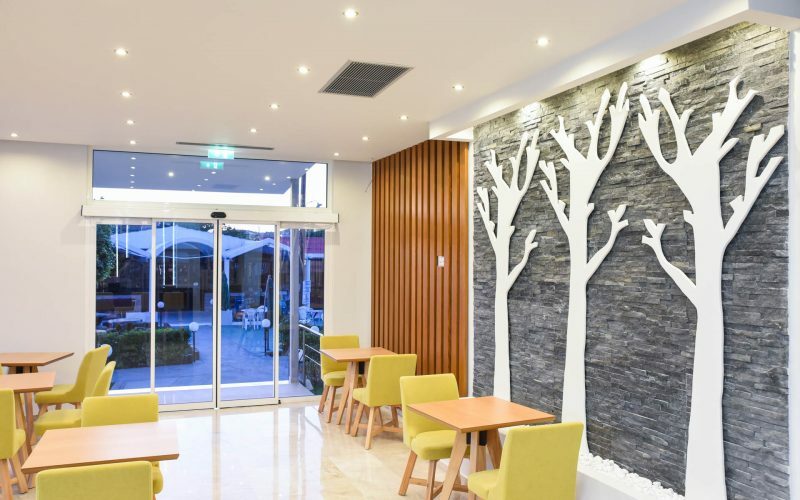 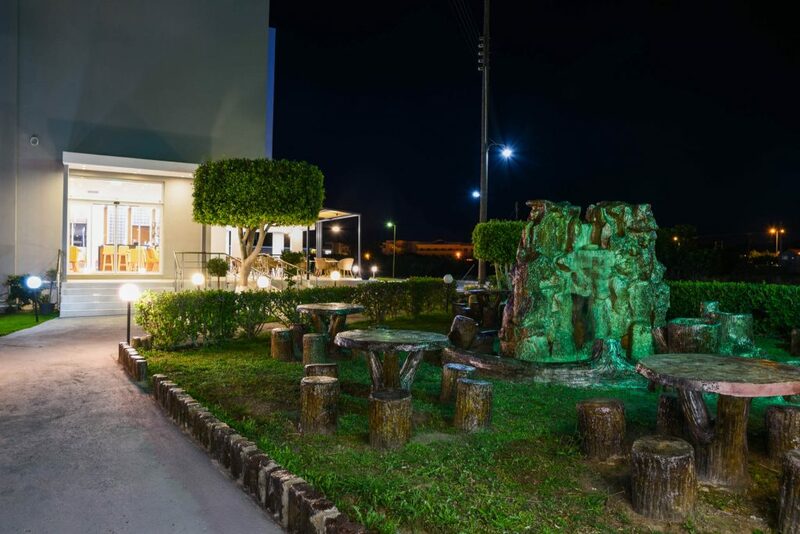 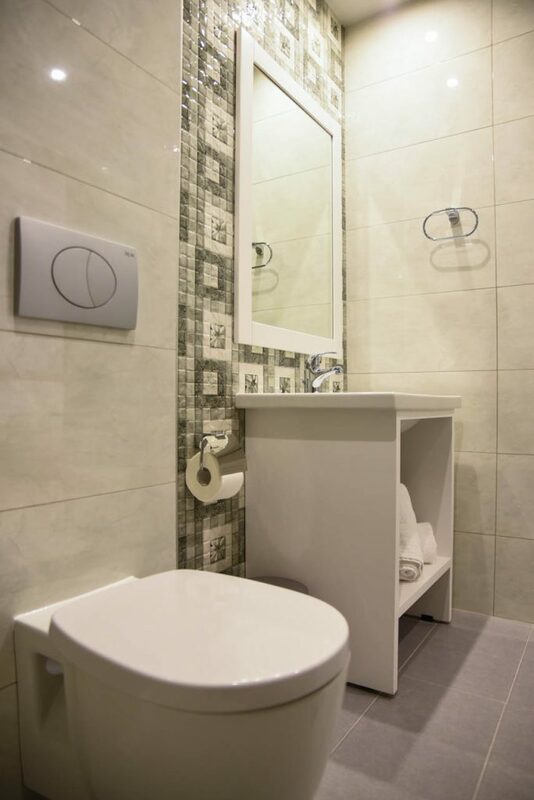 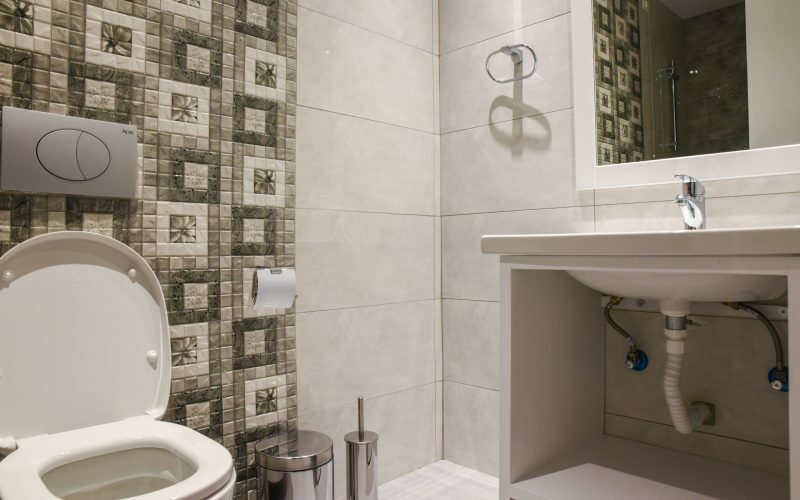 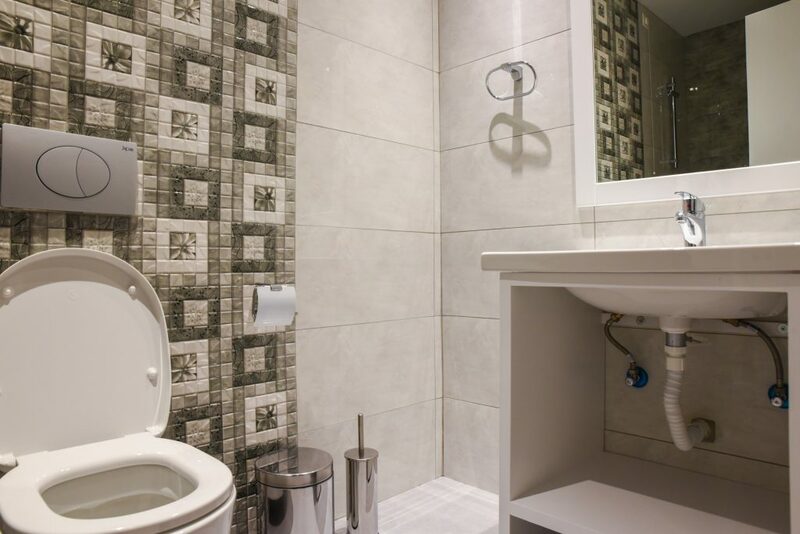 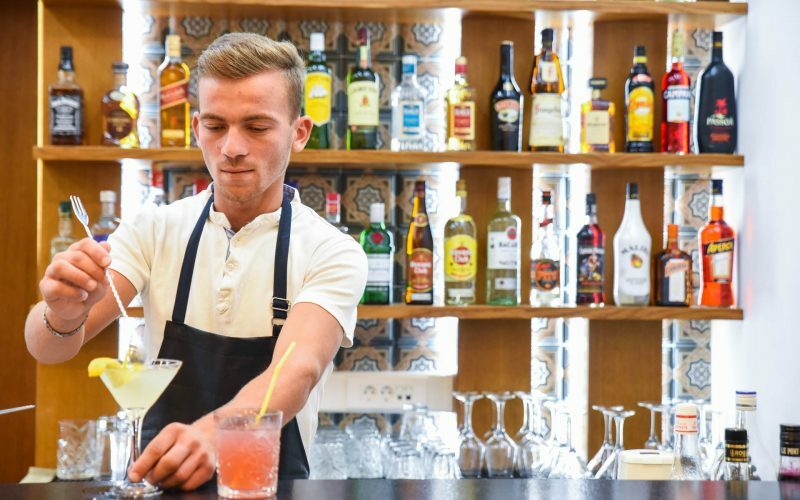 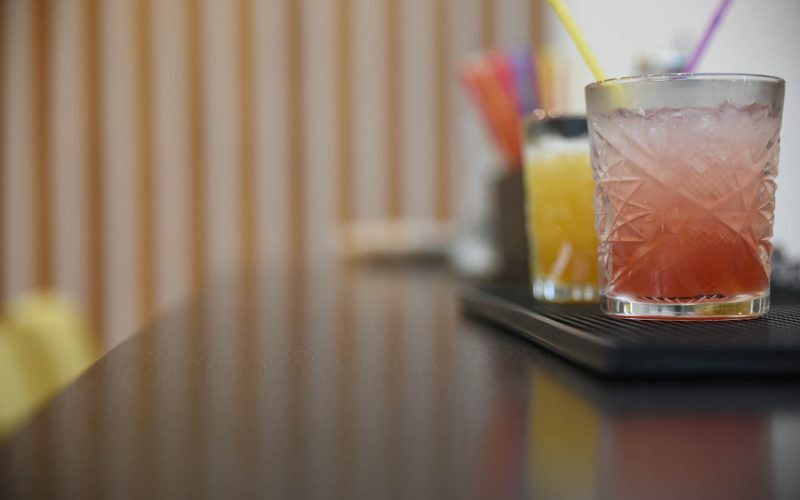 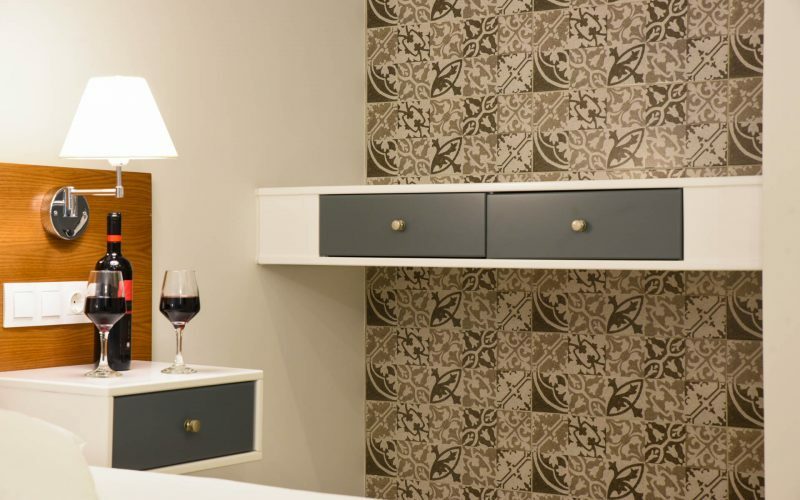 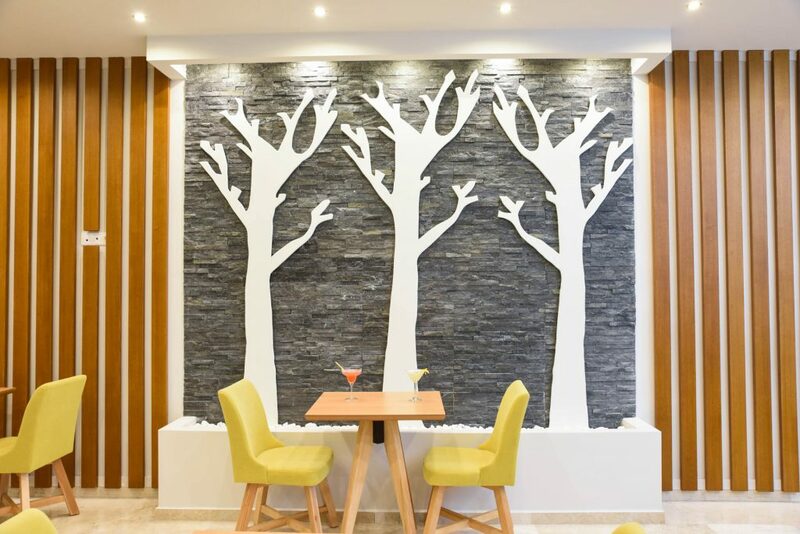 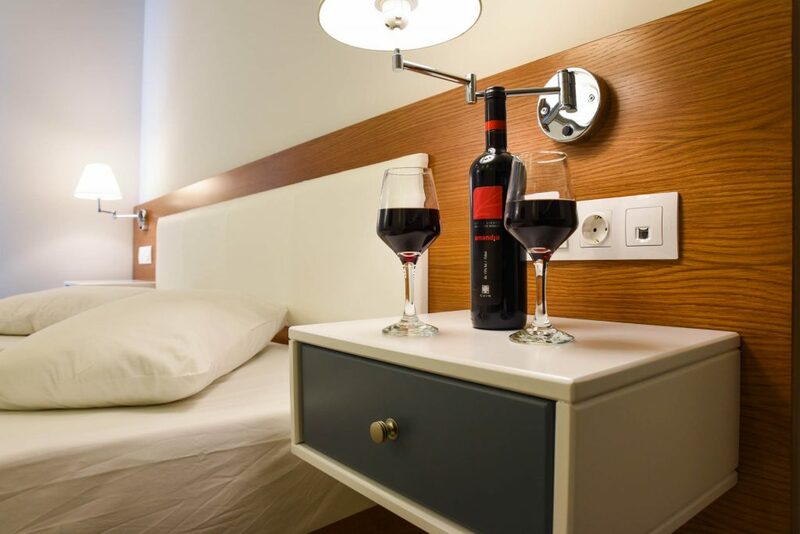 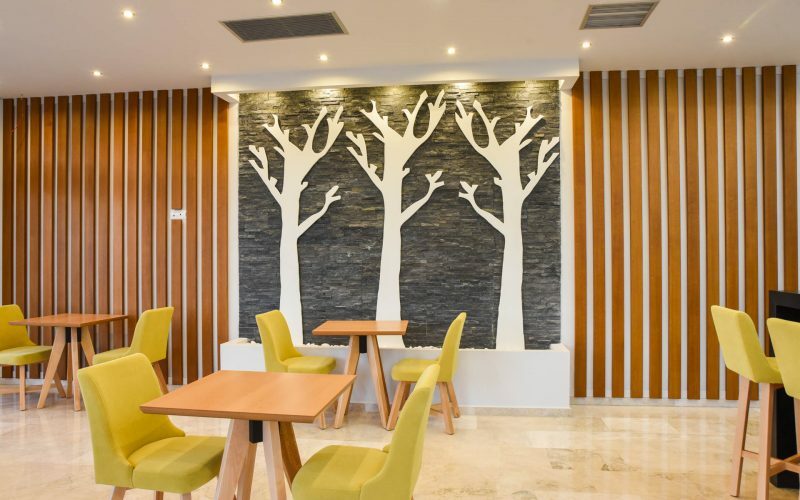 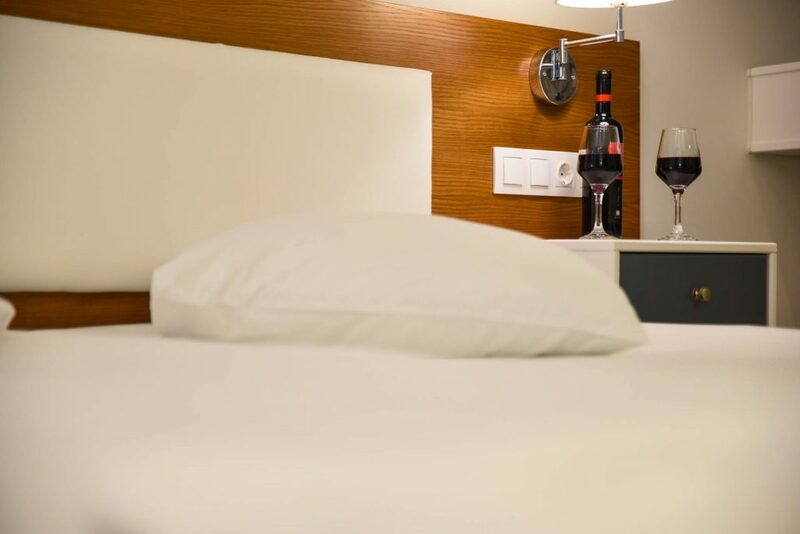 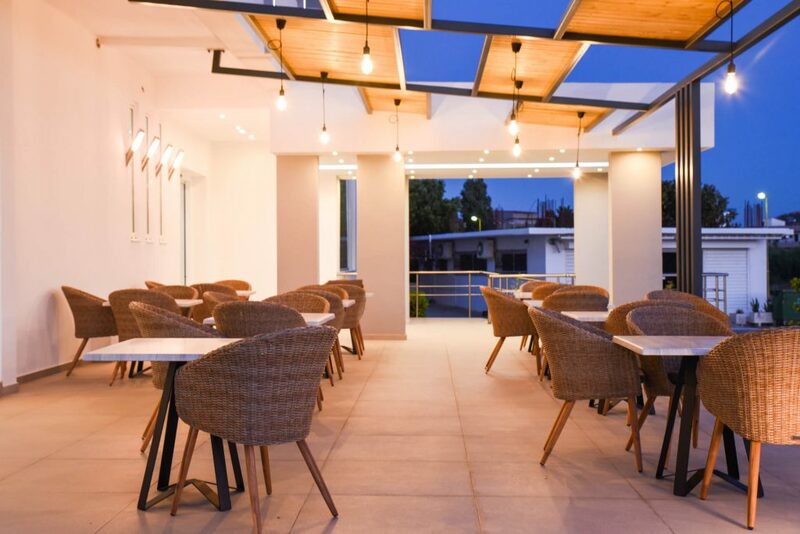 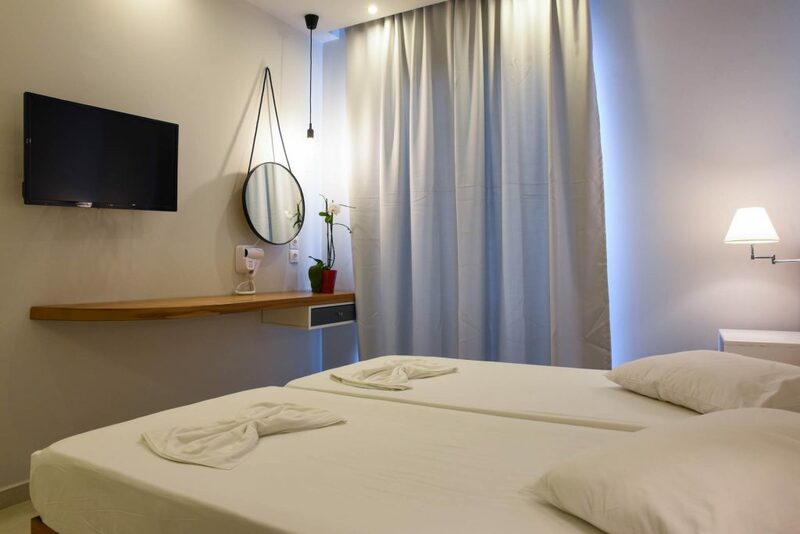 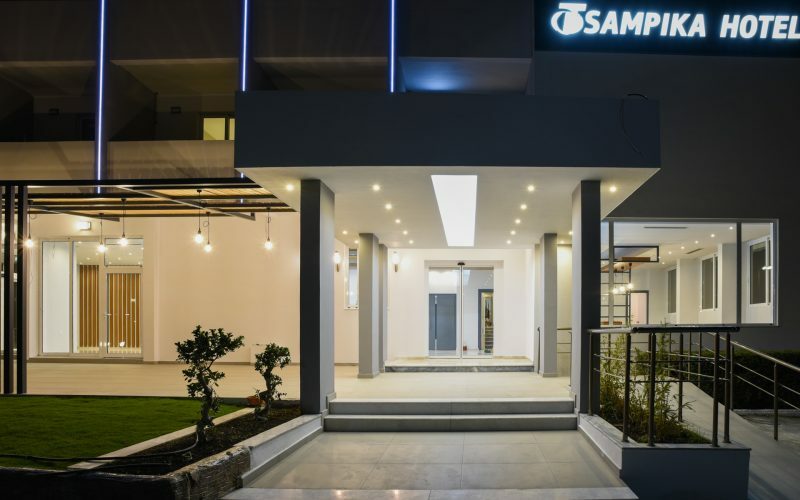 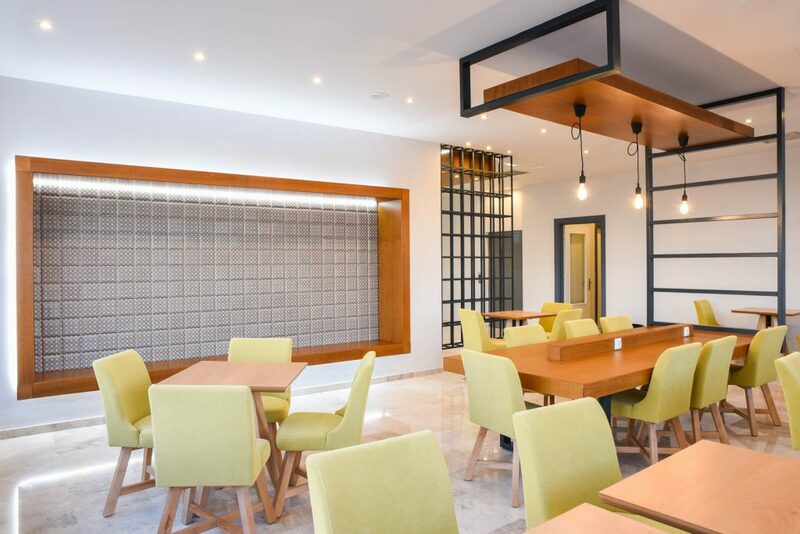 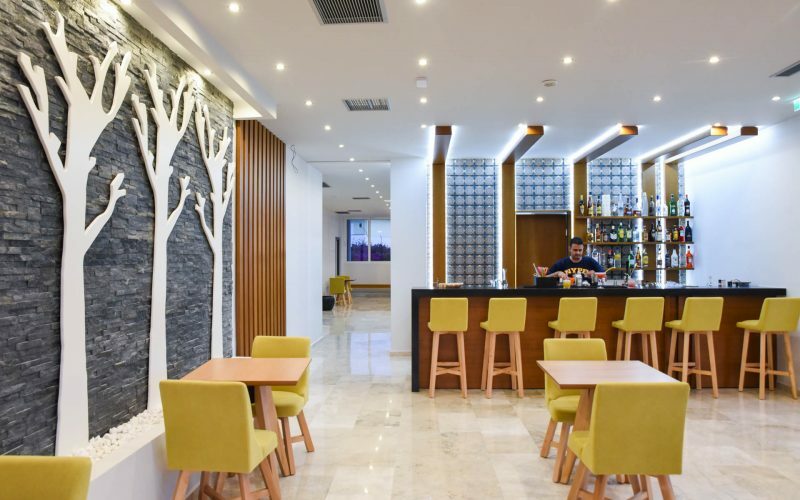 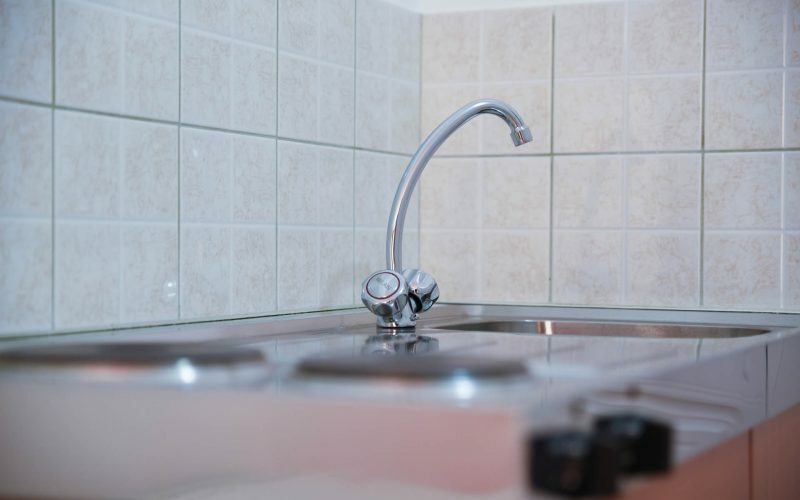 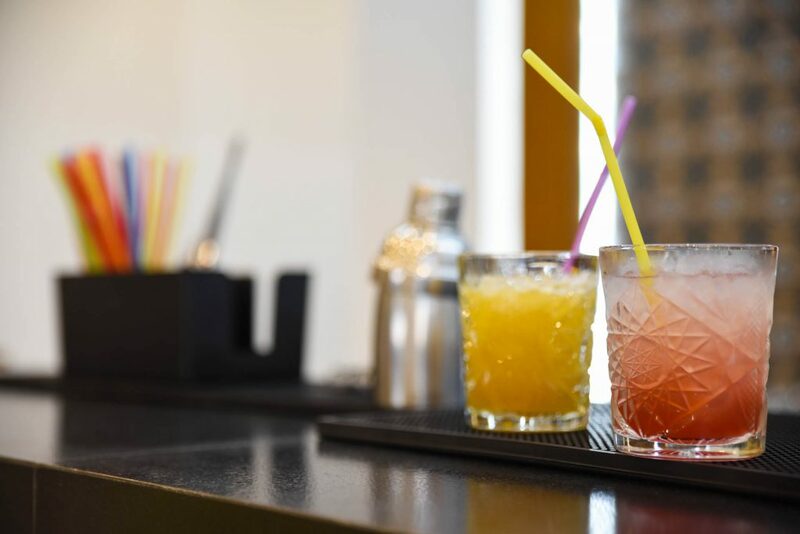 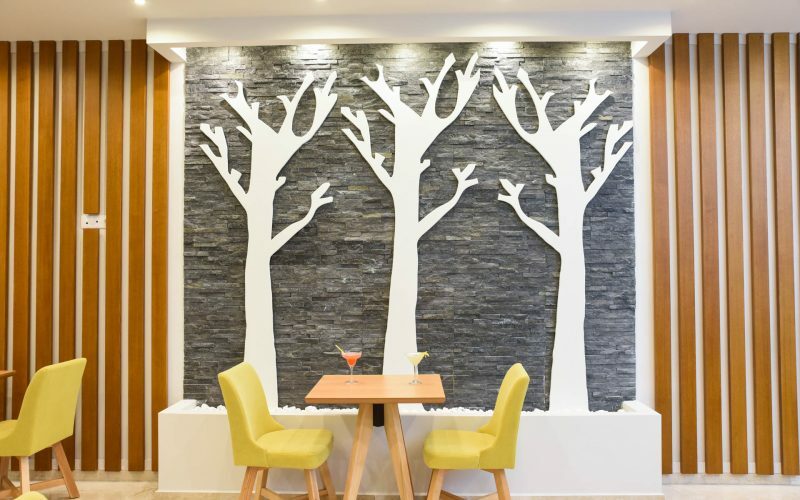 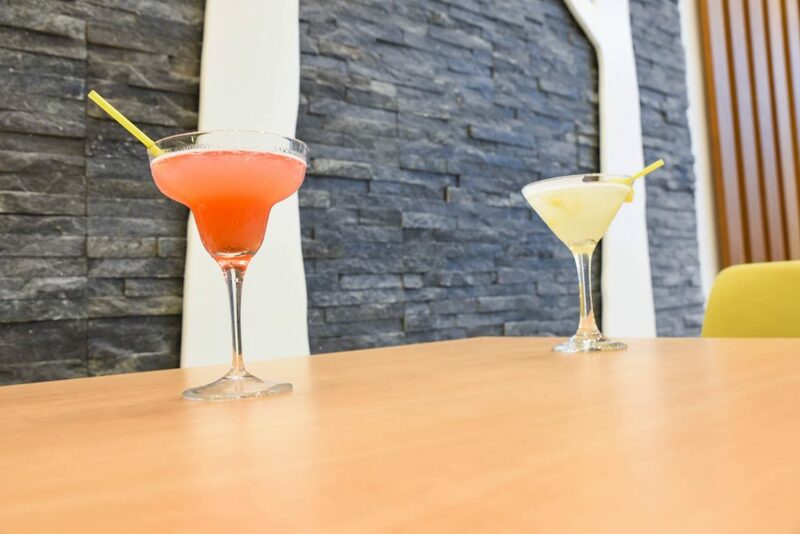 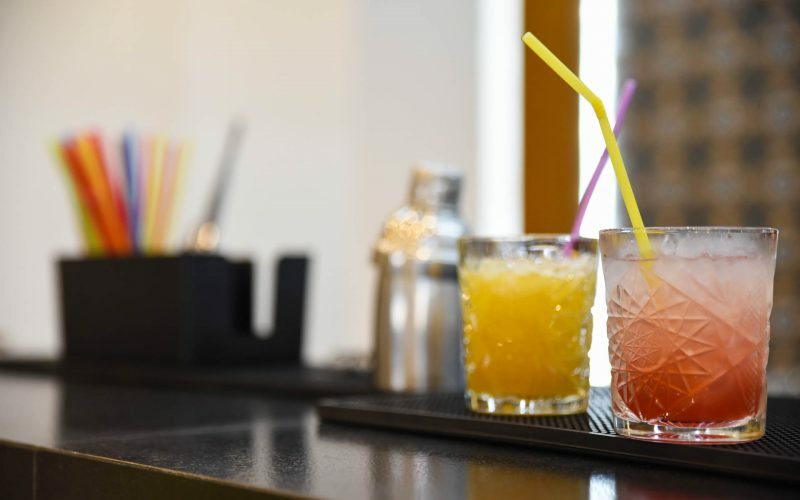 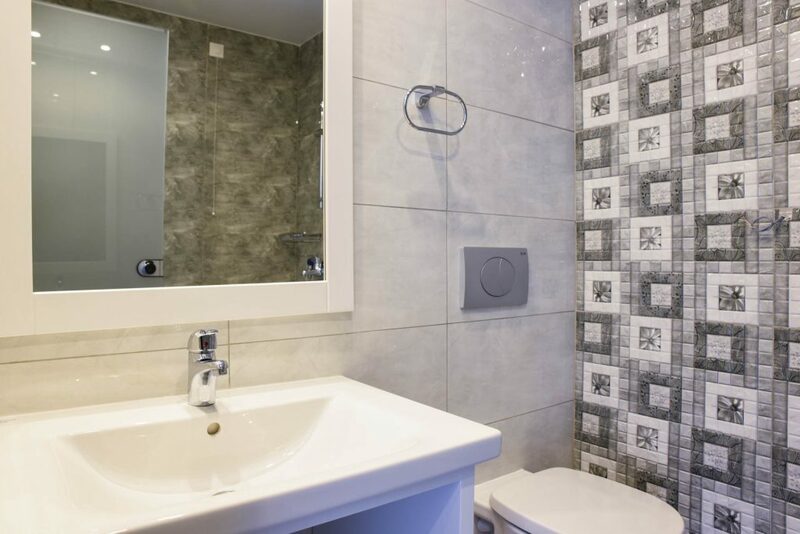 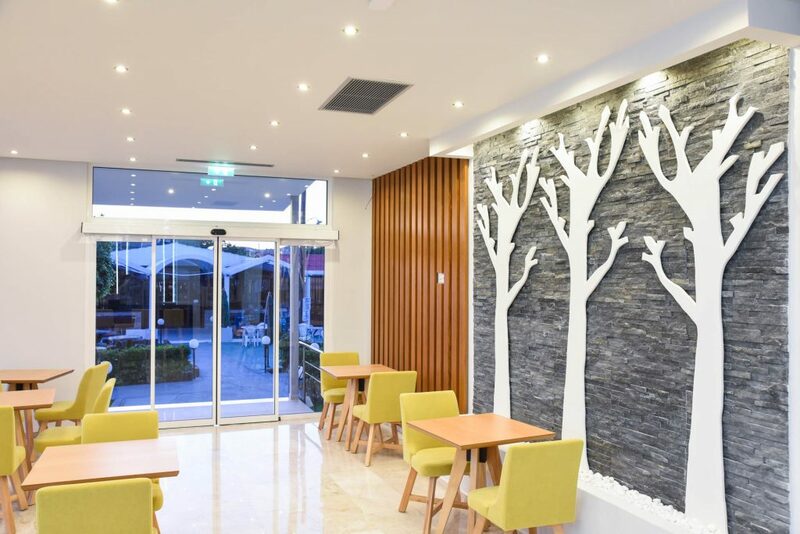 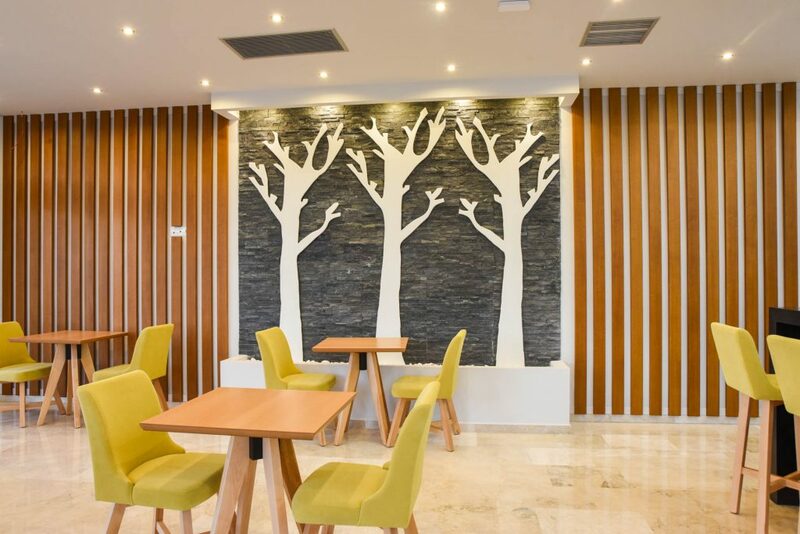 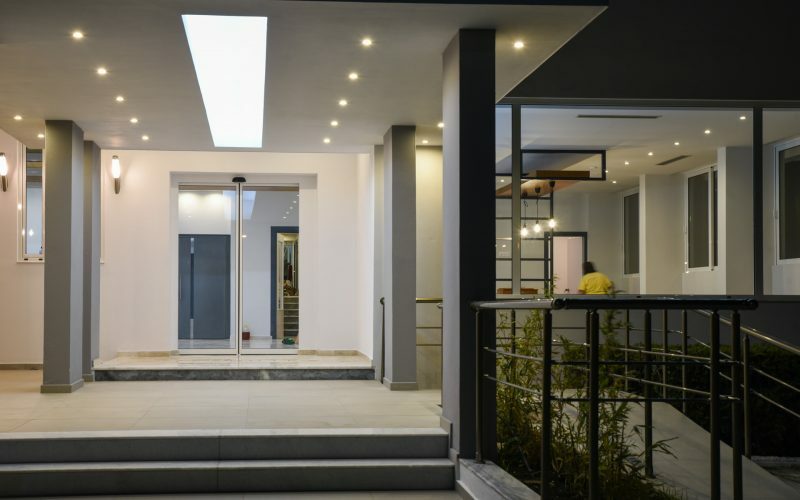 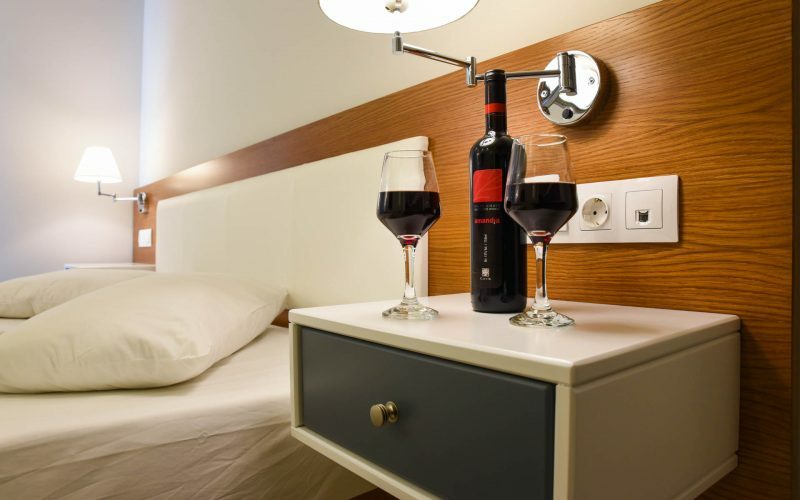 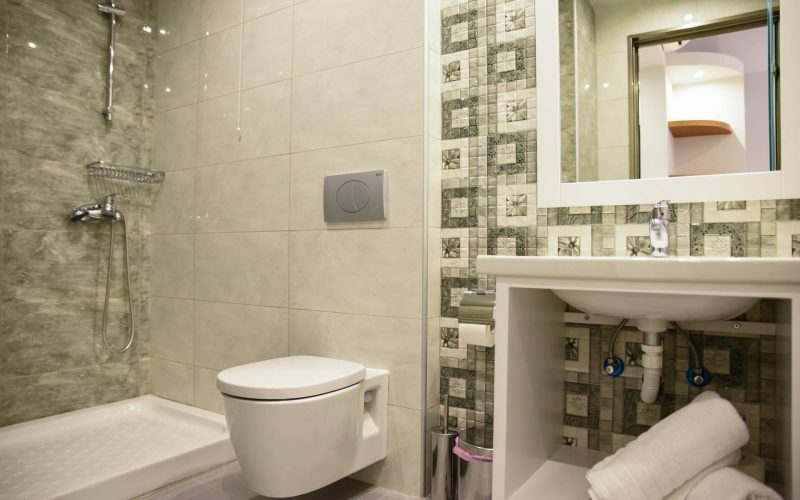 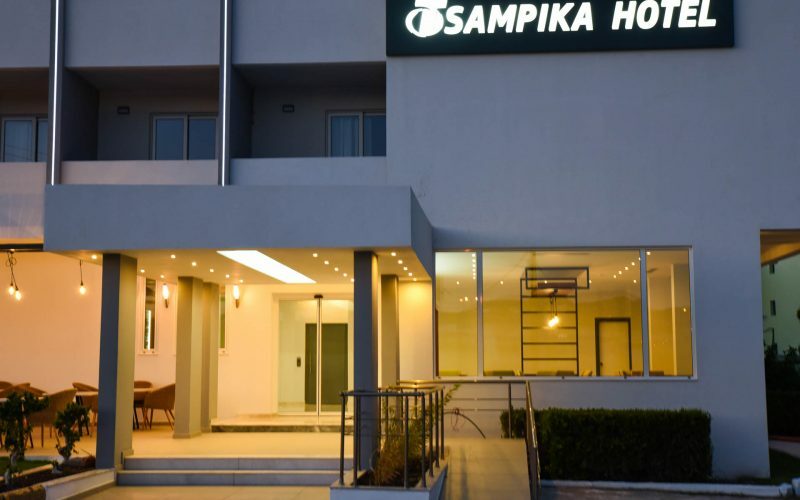 Tsampika Hotel offers you all the comforts of a modern hotel, including two swimming pools (adult’s & kid’s pool), a Greek buffet restaurant, our new A La Carte restaurant, and a nice bar. We also organize Barbecue Nights at our beautiful gardens! 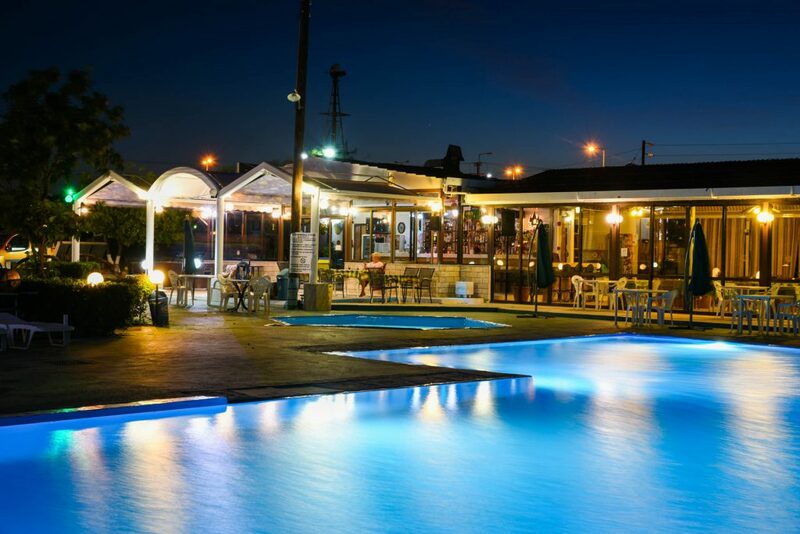 On the north-east part of the Greek island of Rhodes, you will find the famous sea resort of Faliraki. 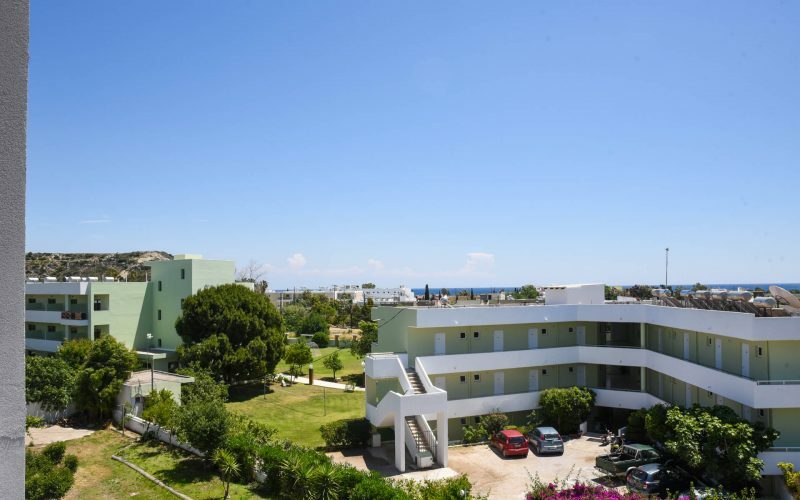 The distance from the international airport of Rhodes is 16 km. 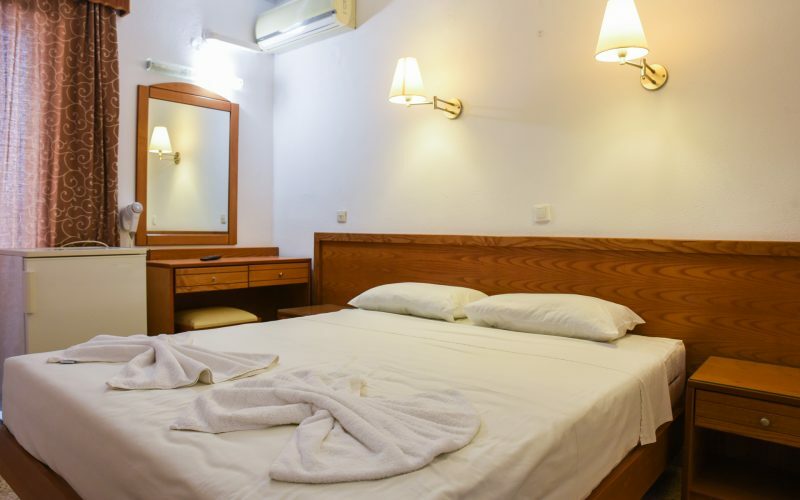 You can get there by local bus, booking a cab, or a hired car.